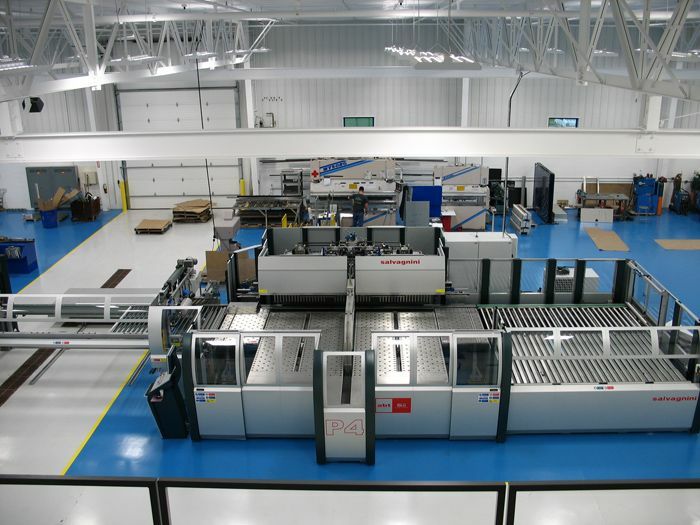 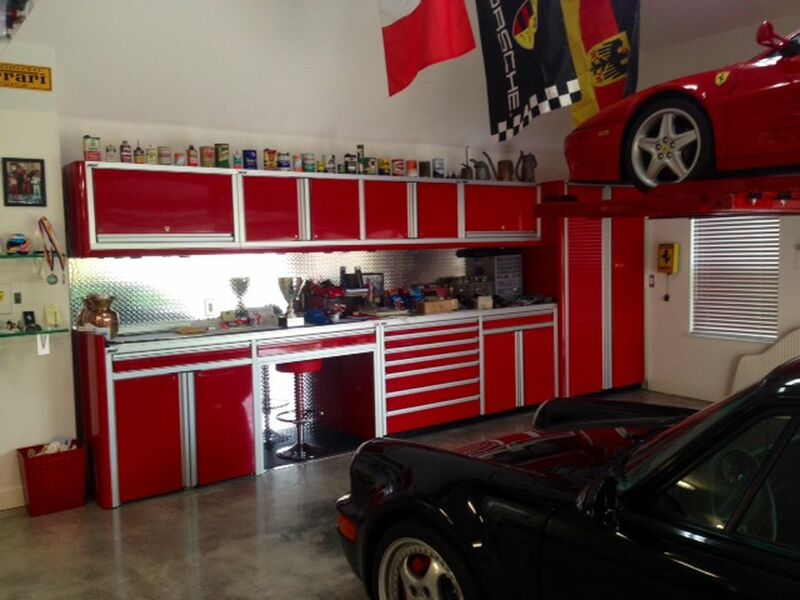 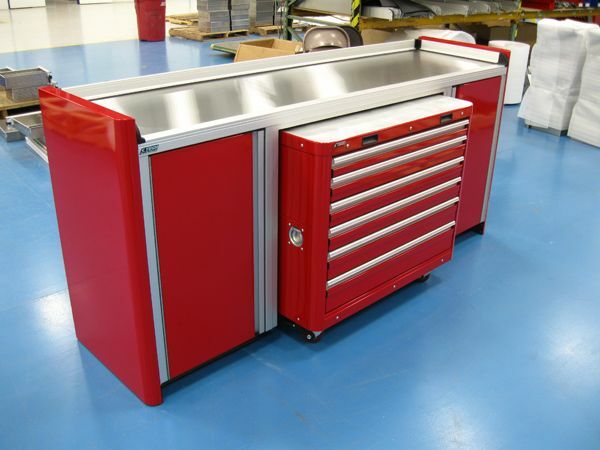 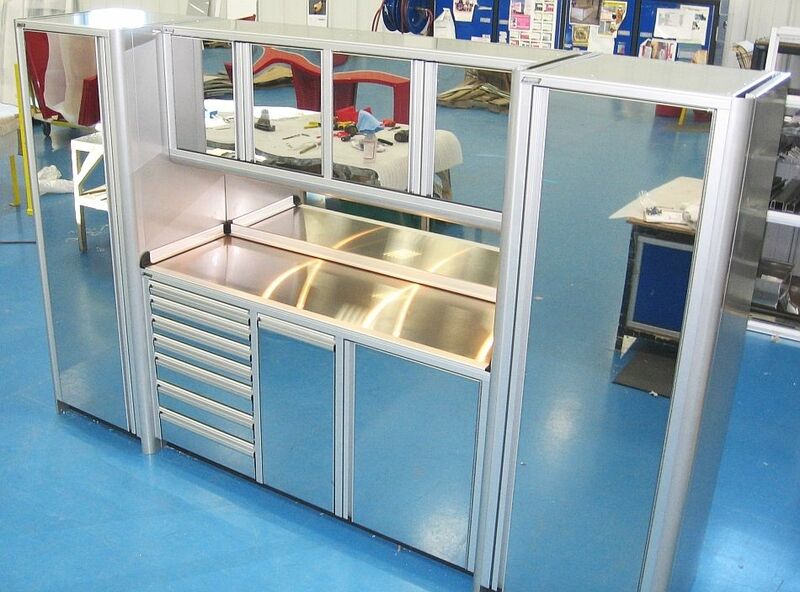 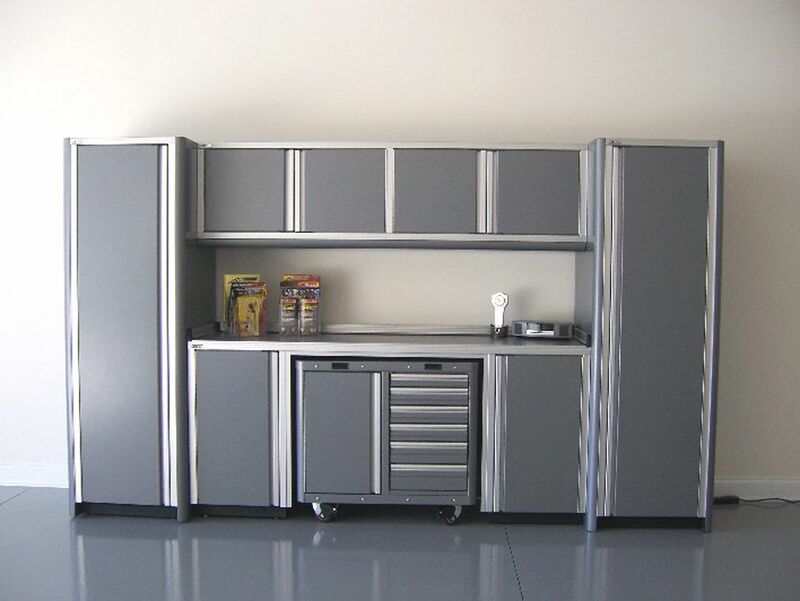 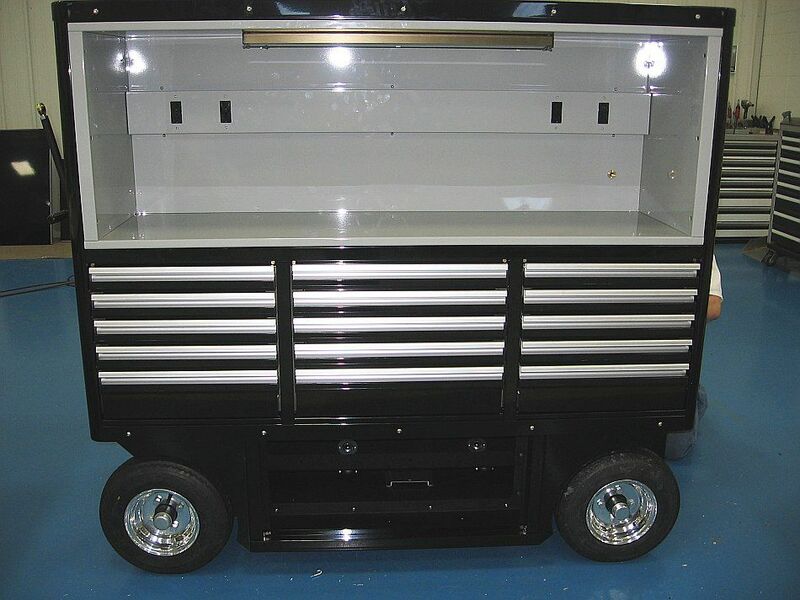 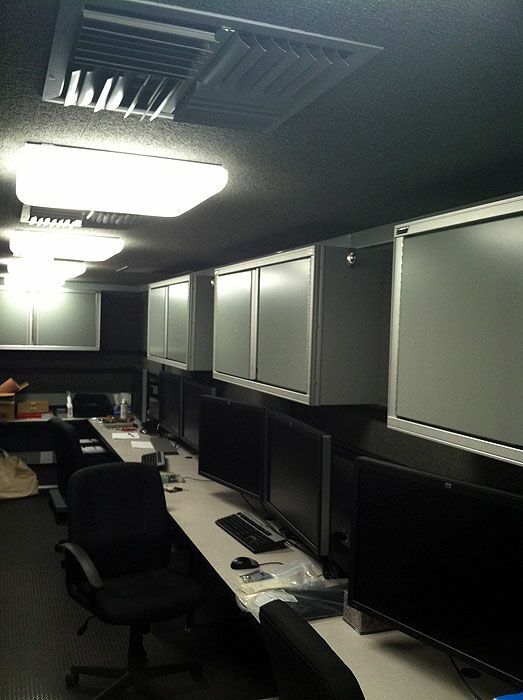 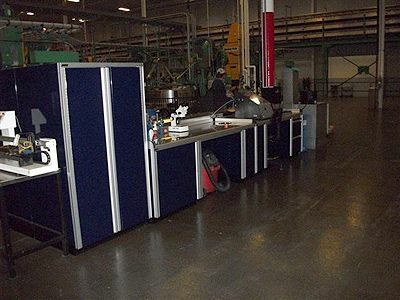 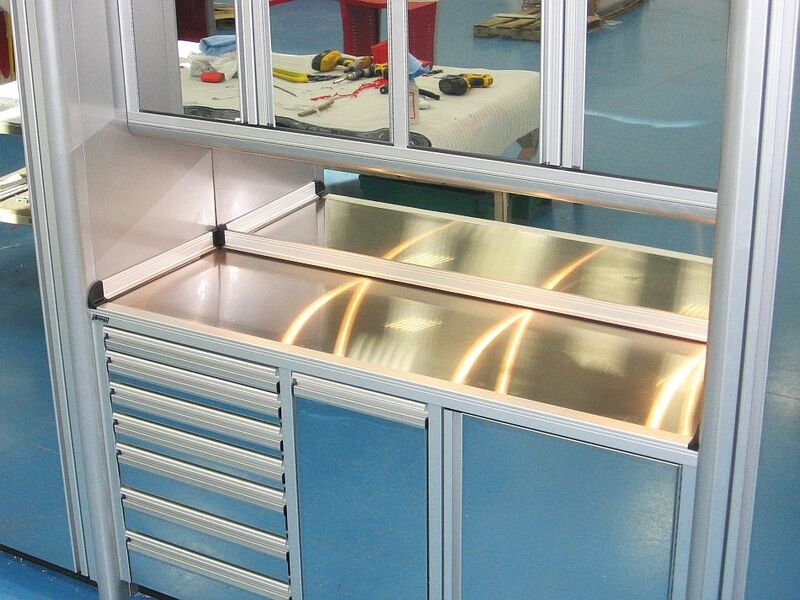 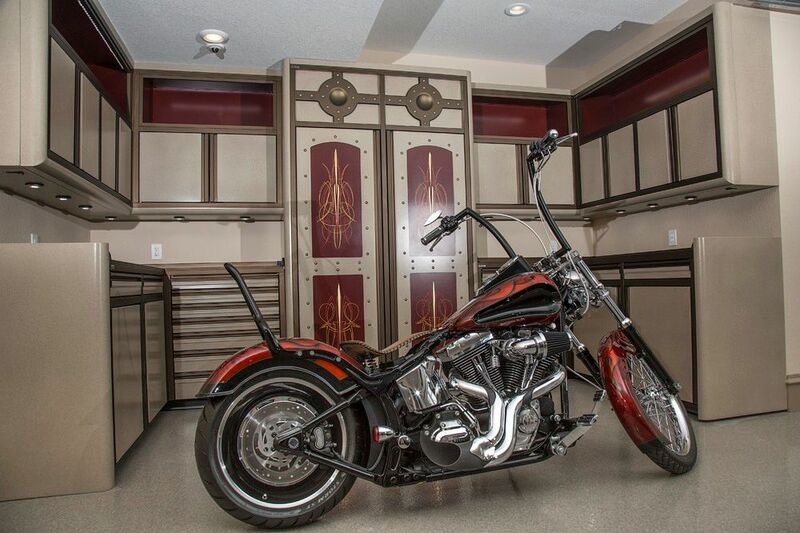 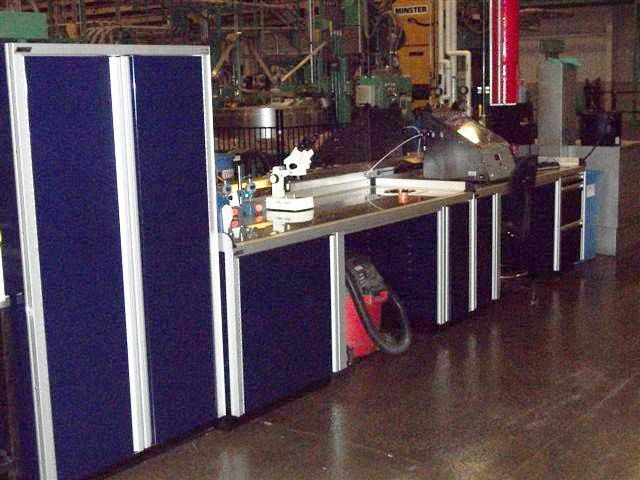 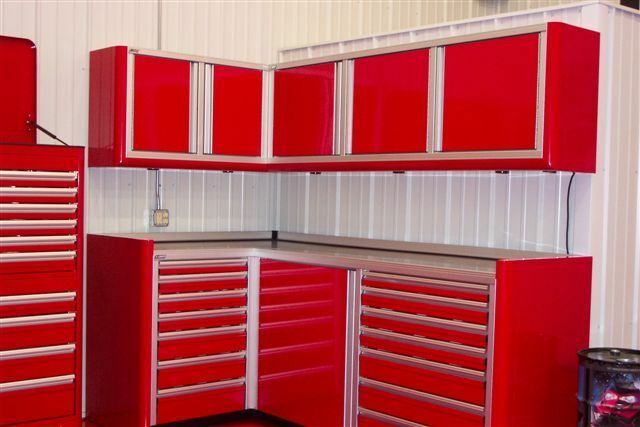 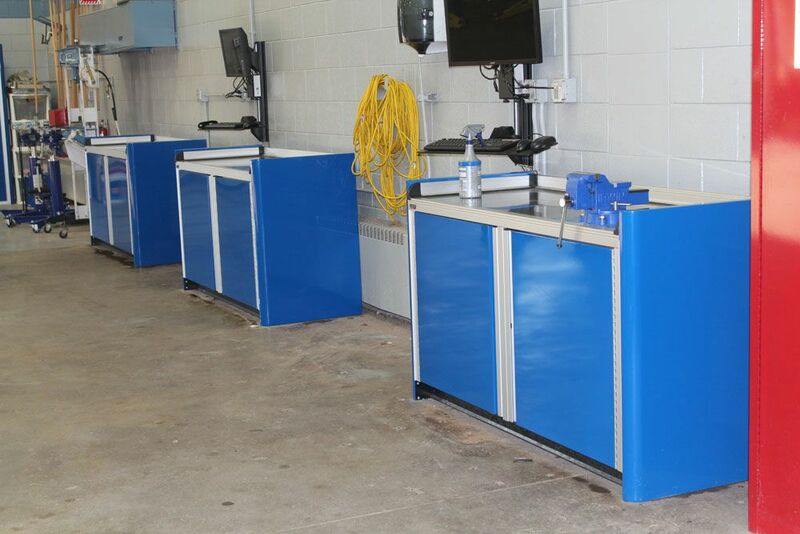 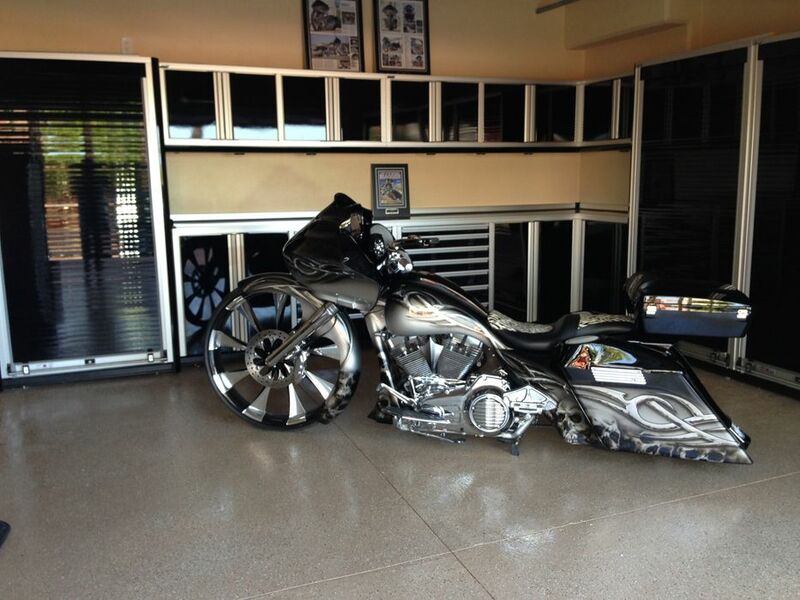 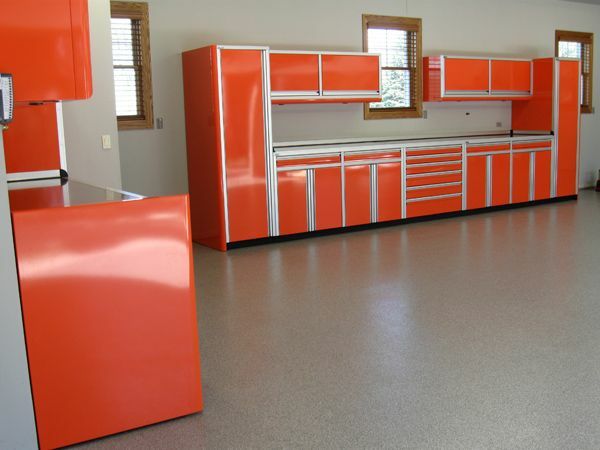 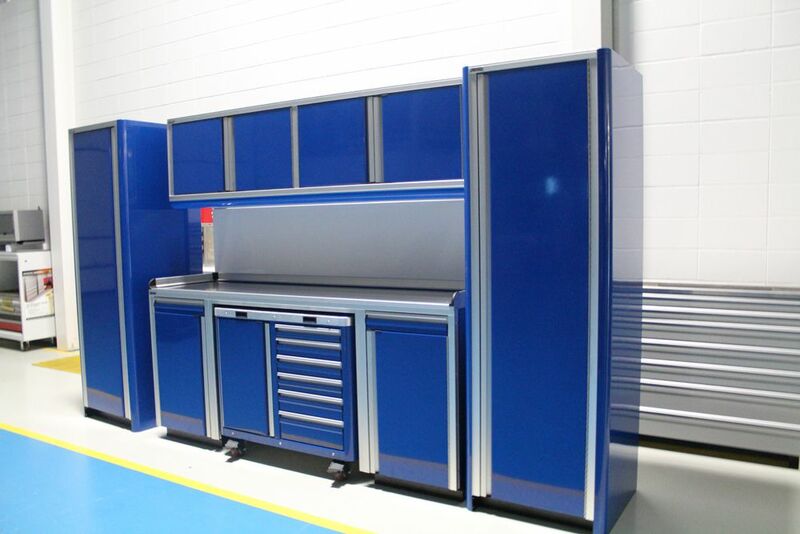 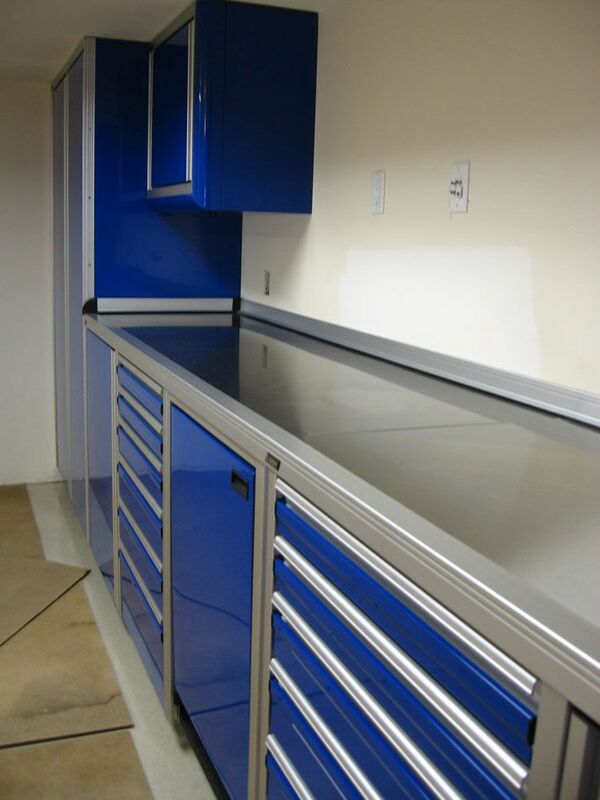 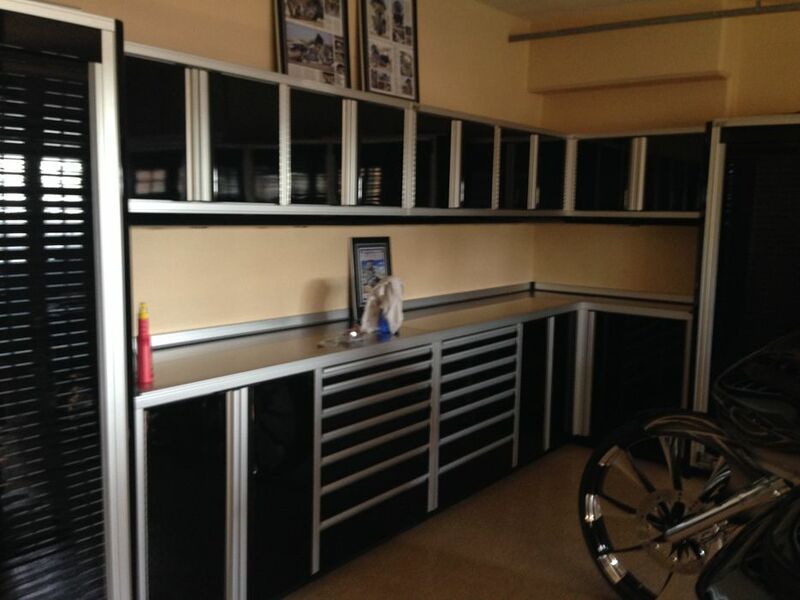 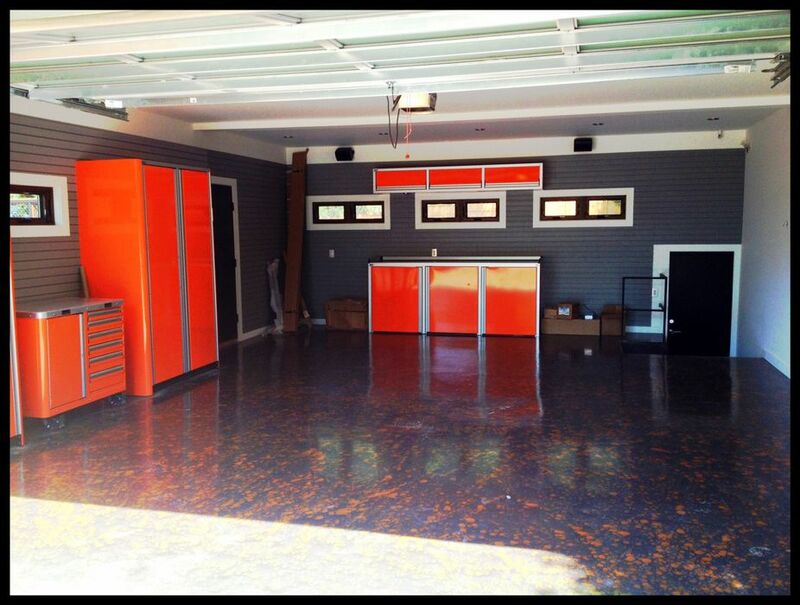 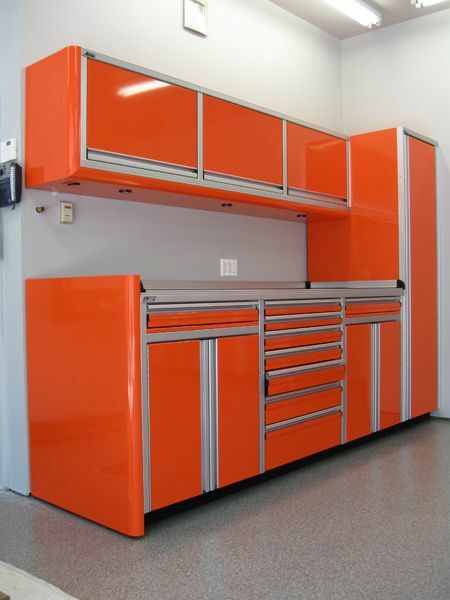 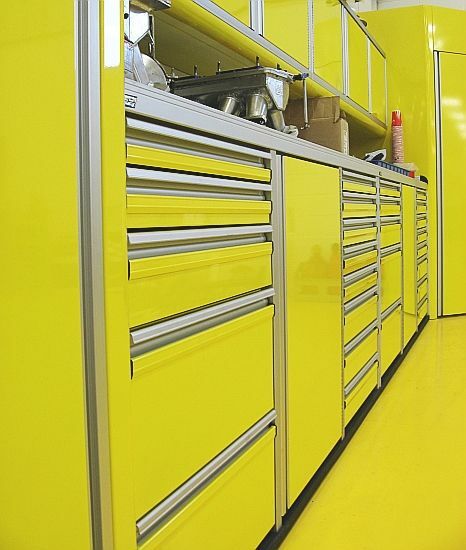 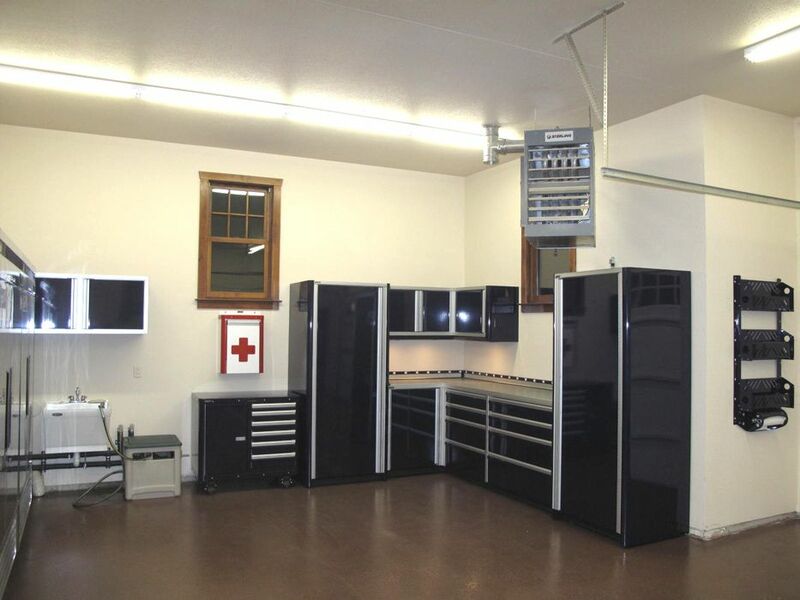 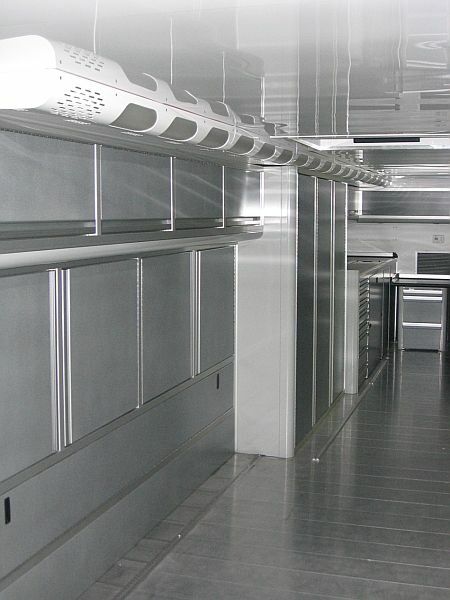 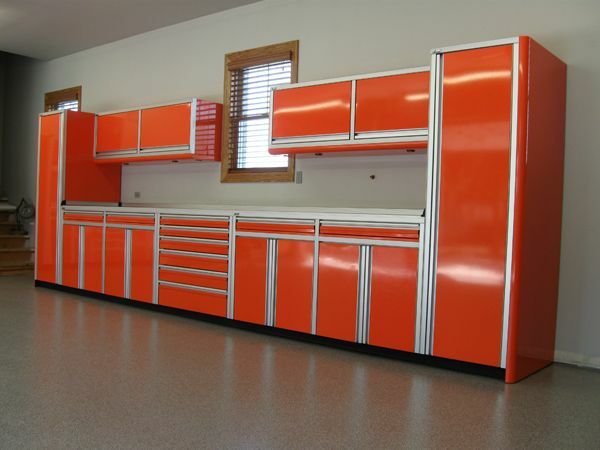 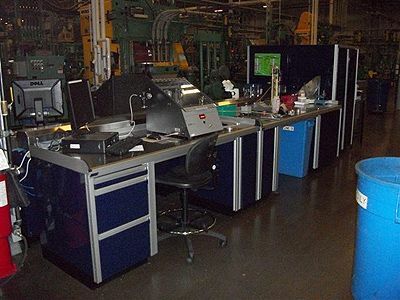 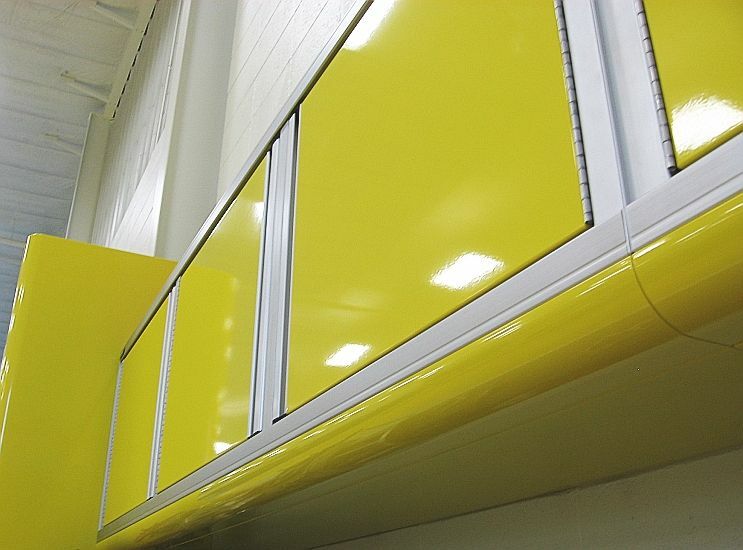 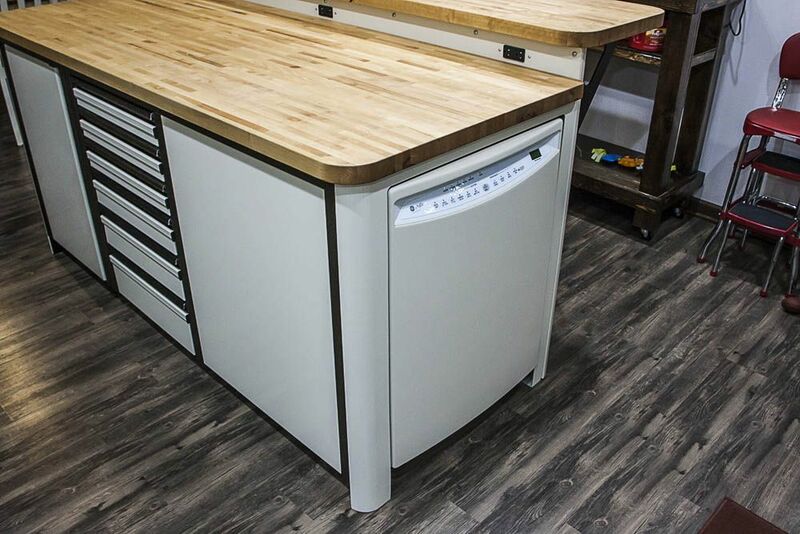 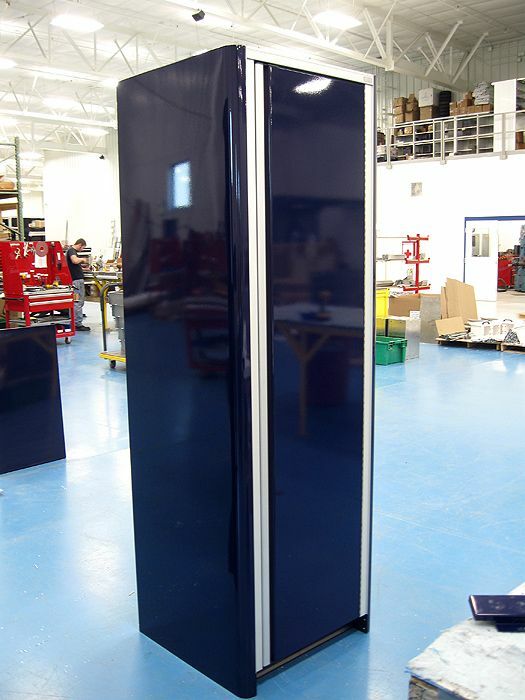 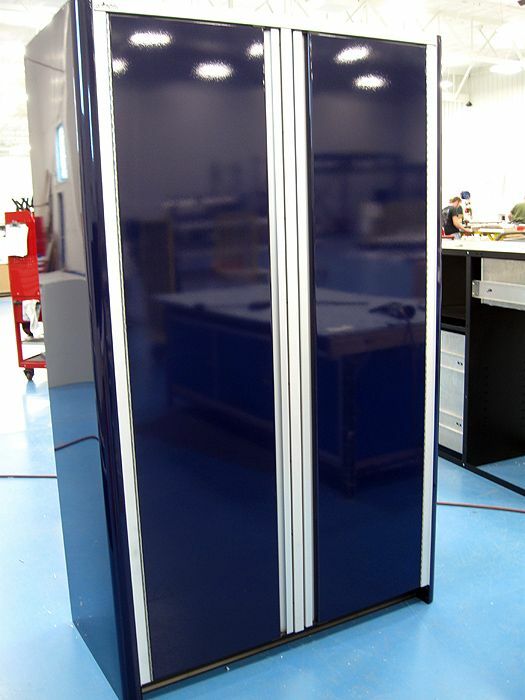 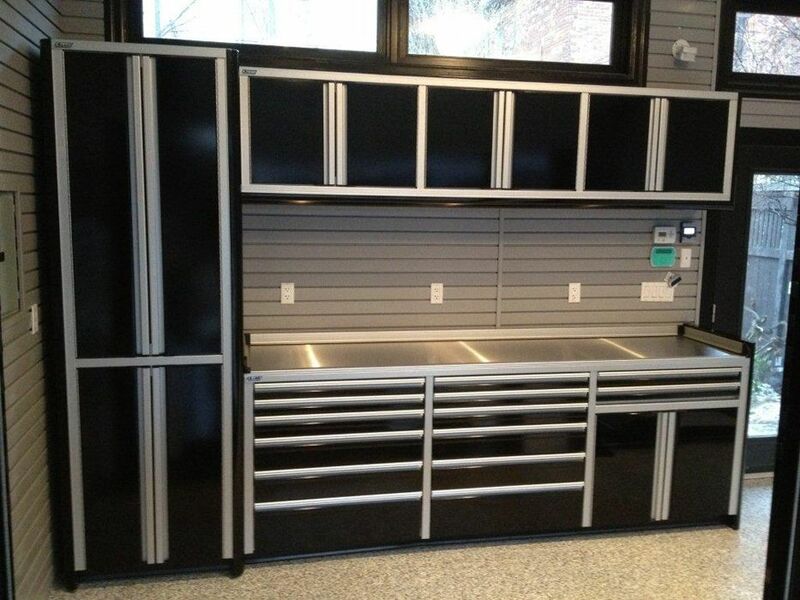 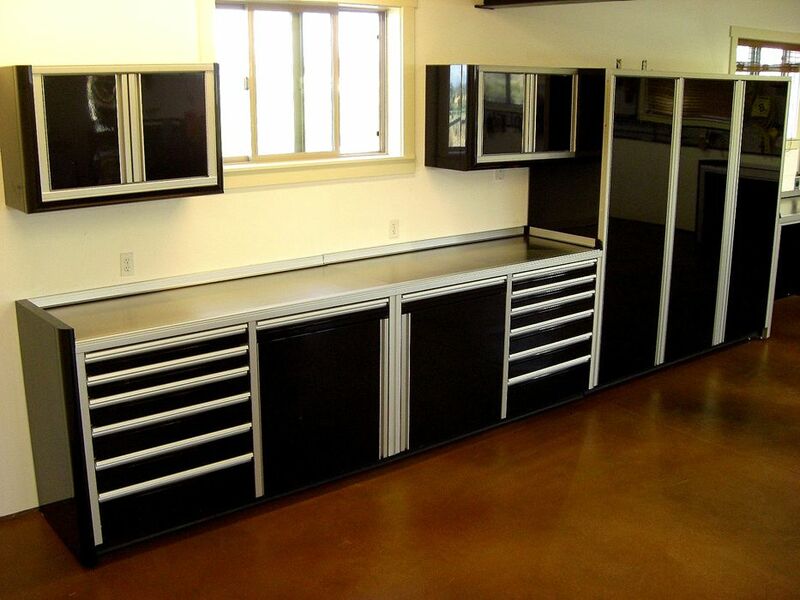 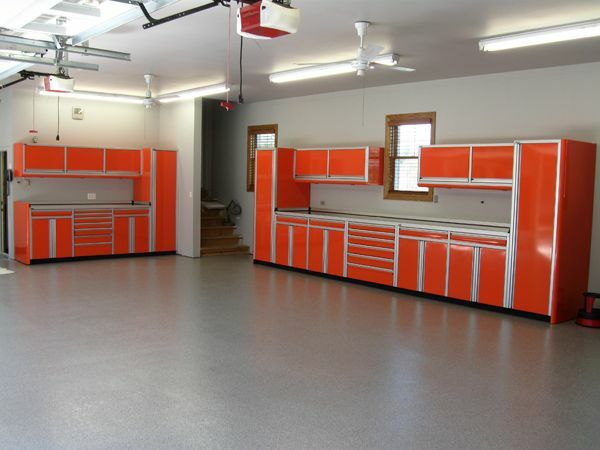 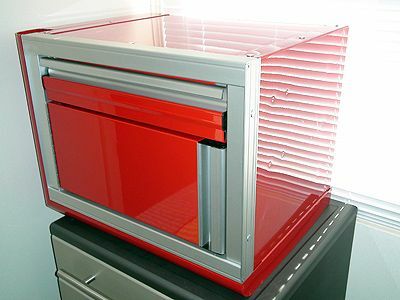 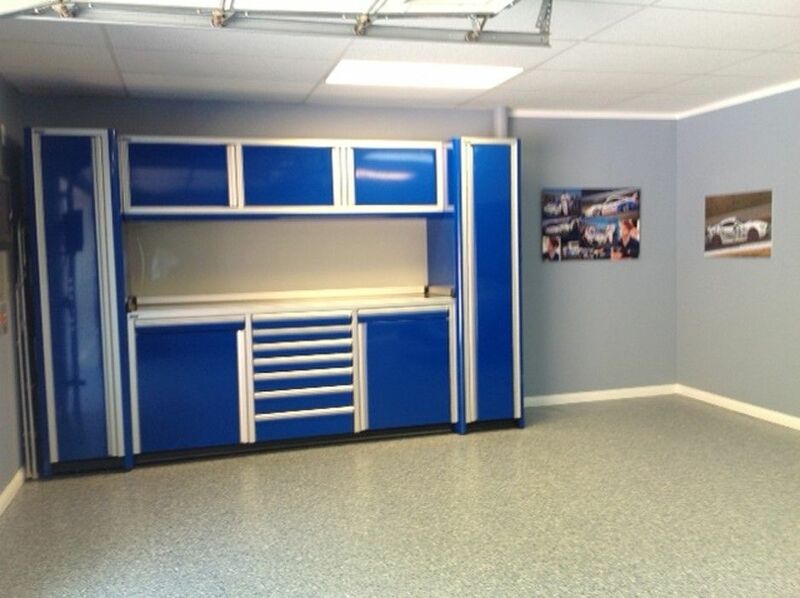 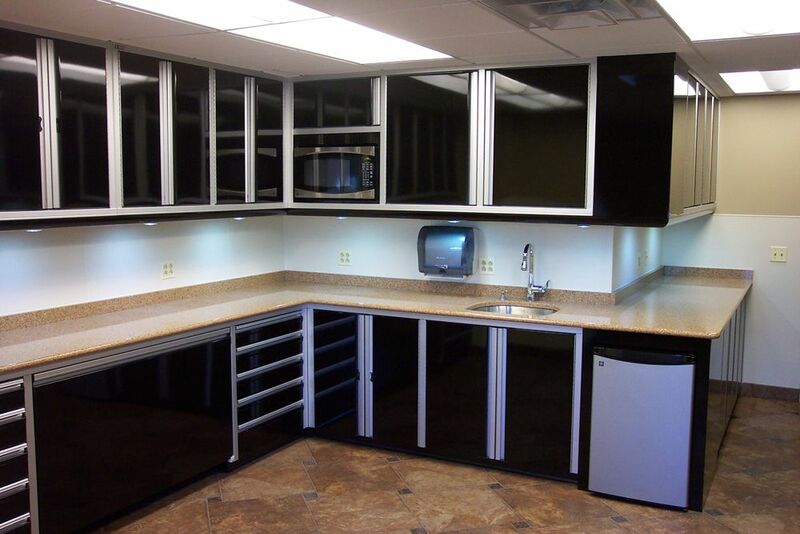 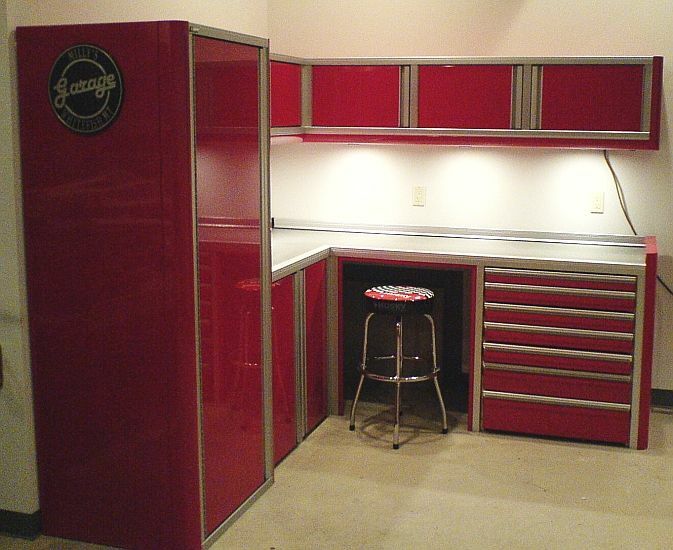 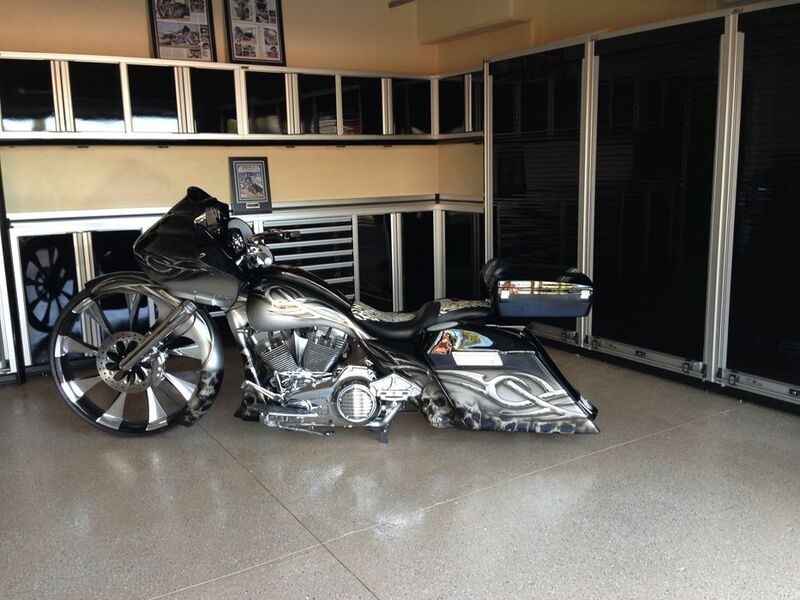 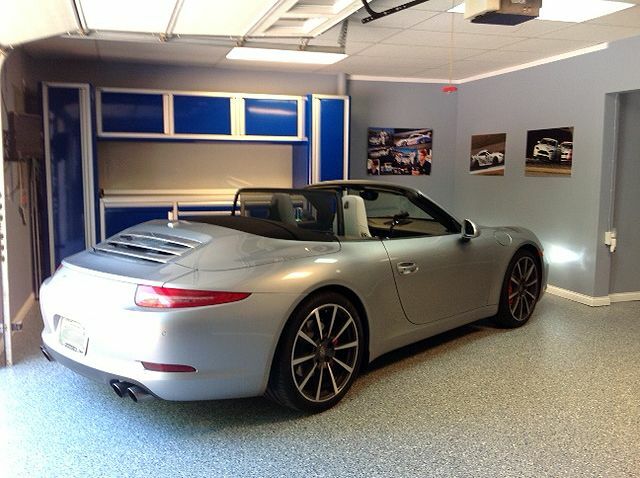 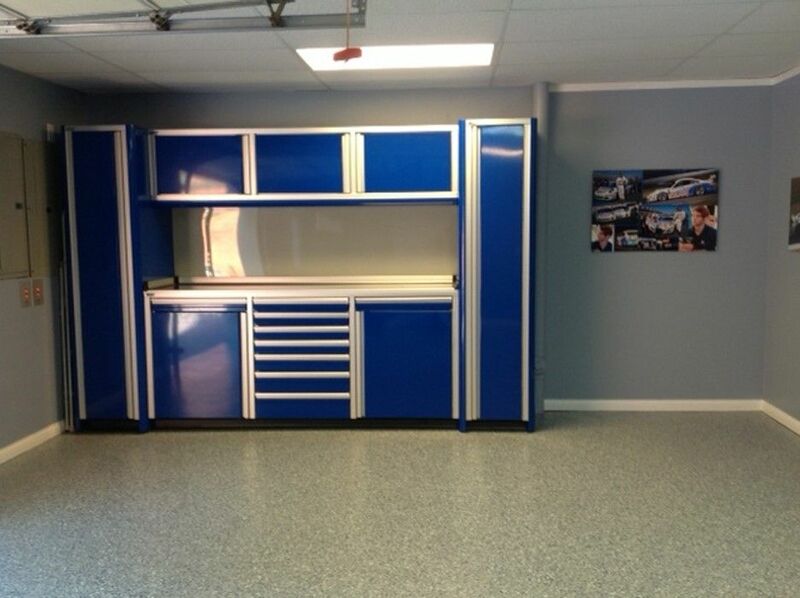 These are all aluminum cabinets made in the USA and can be customized to fit your shop. 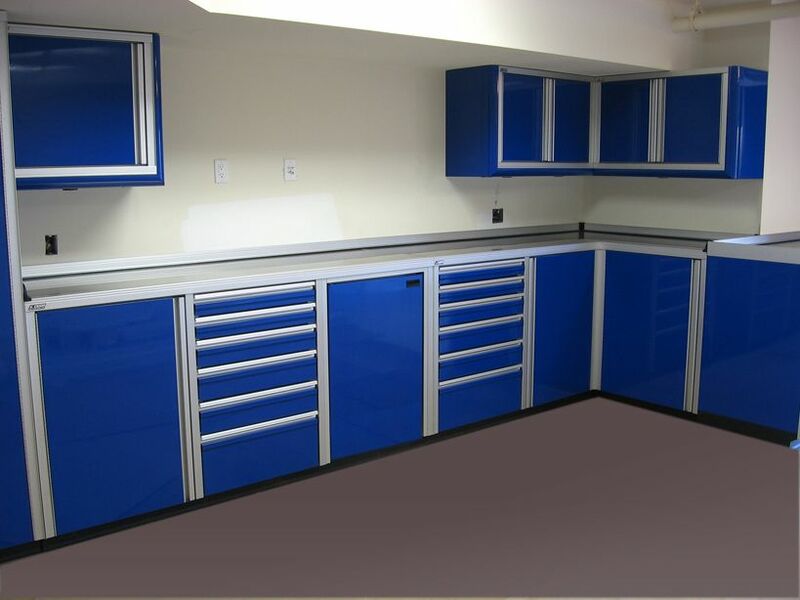 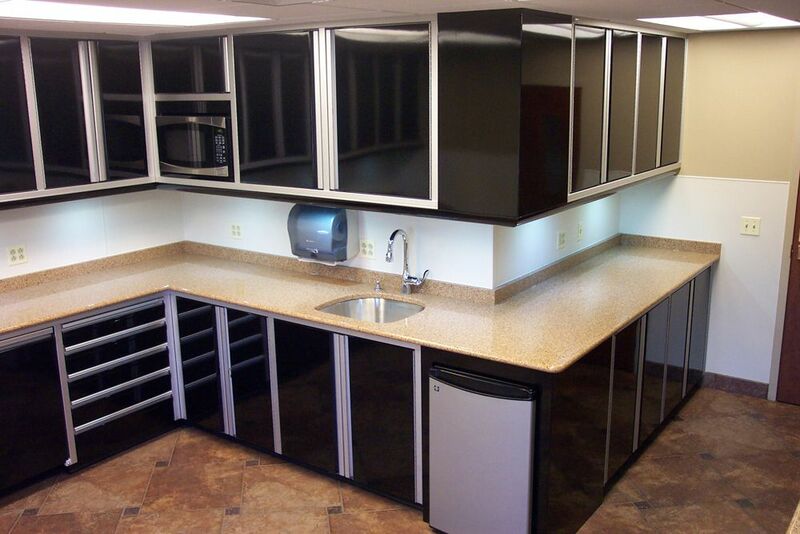 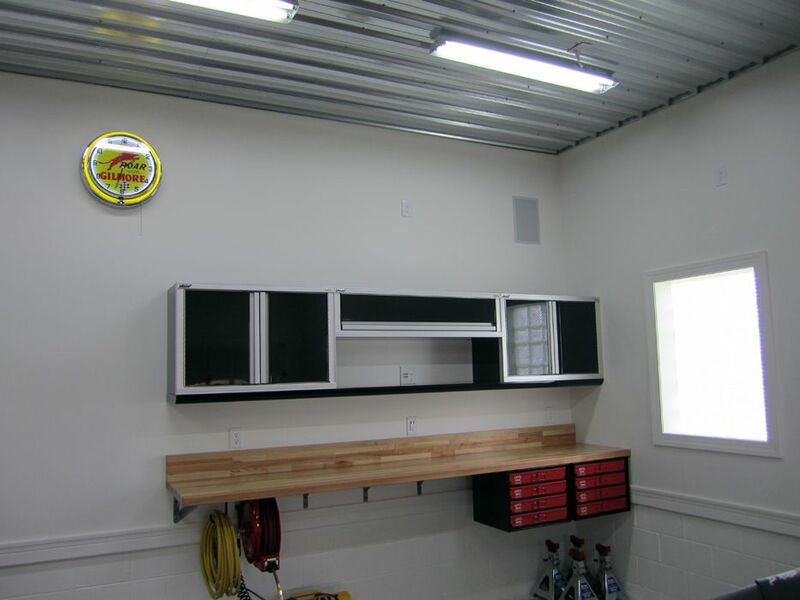 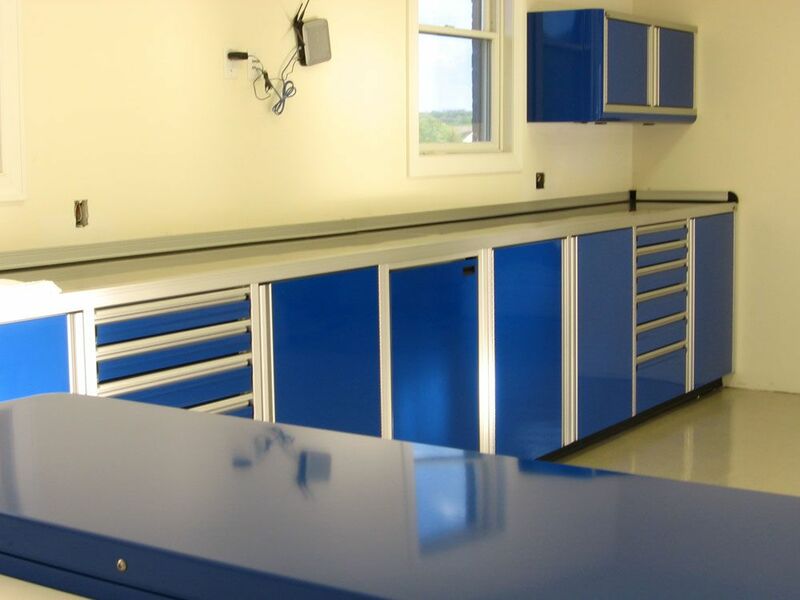 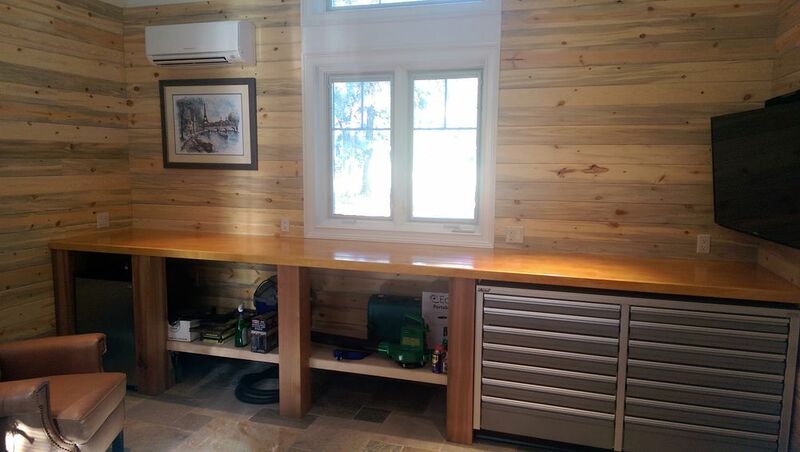 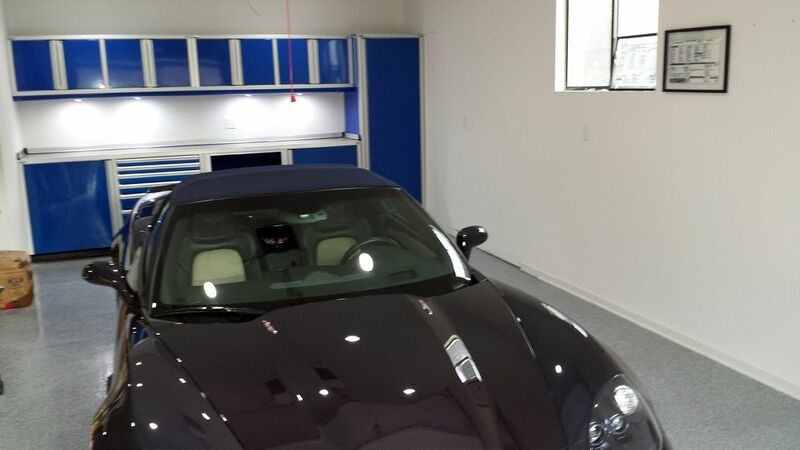 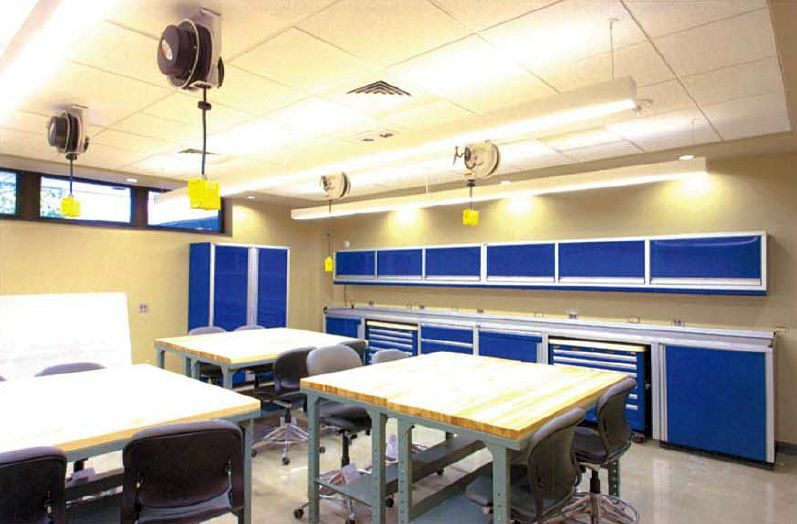 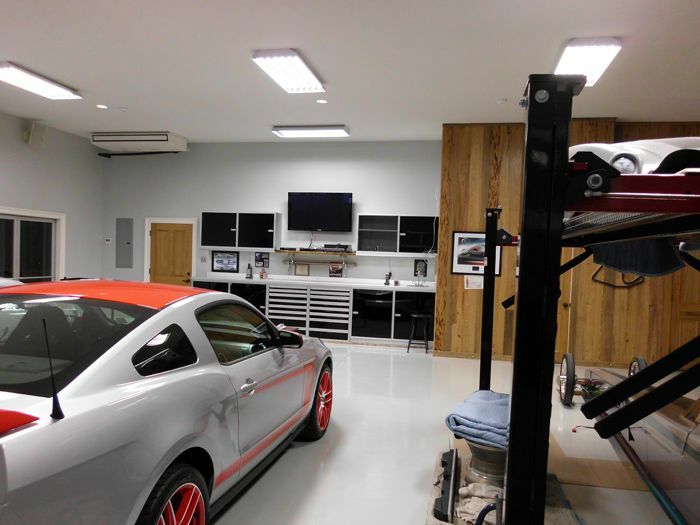 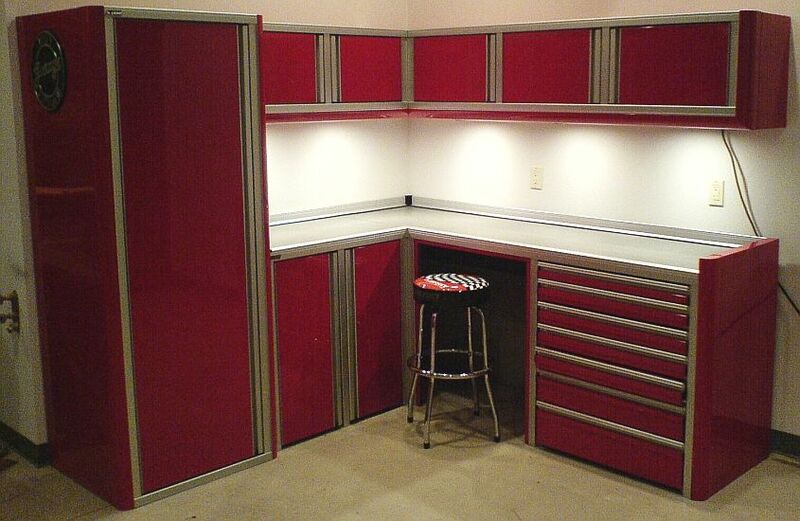 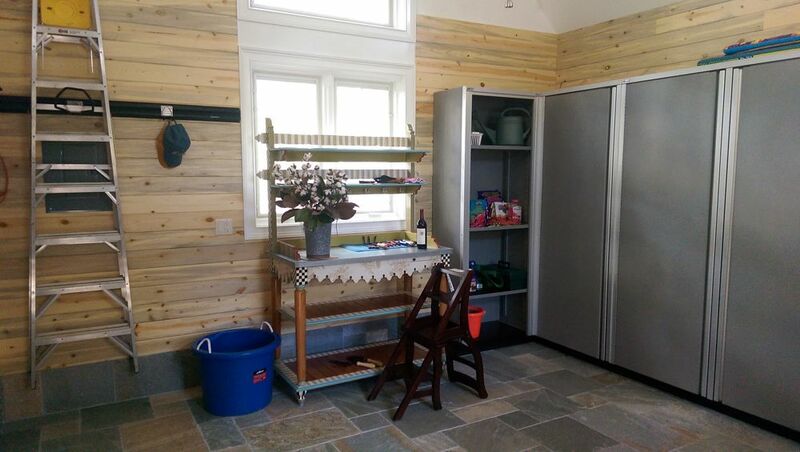 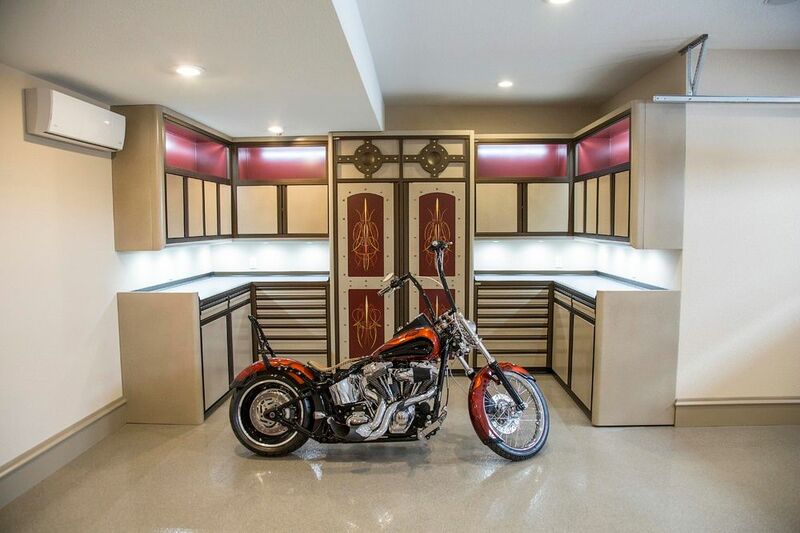 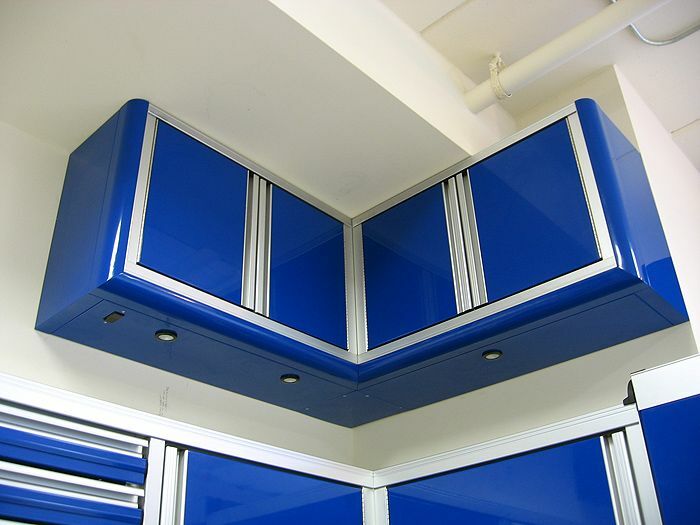 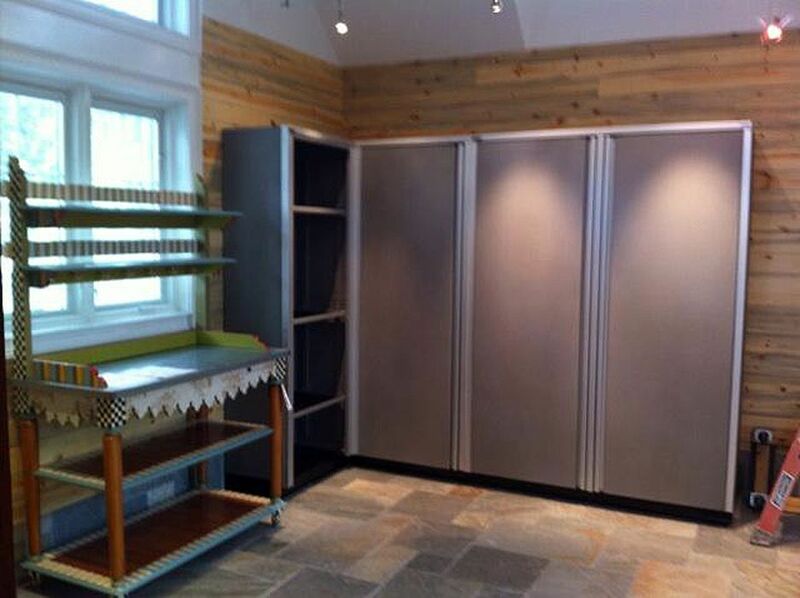 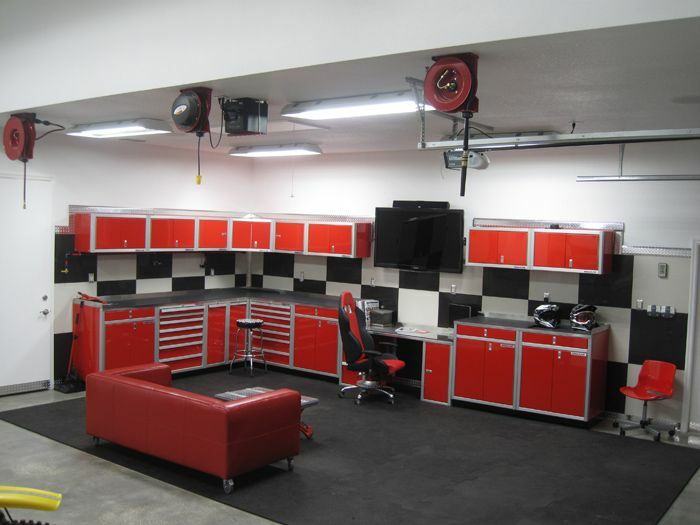 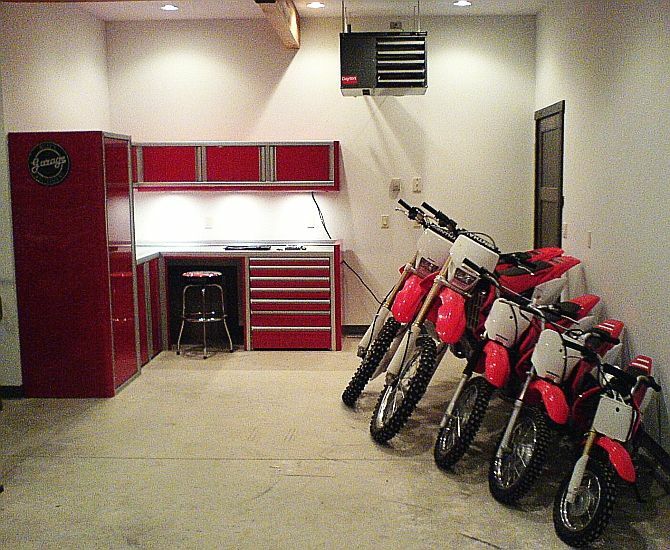 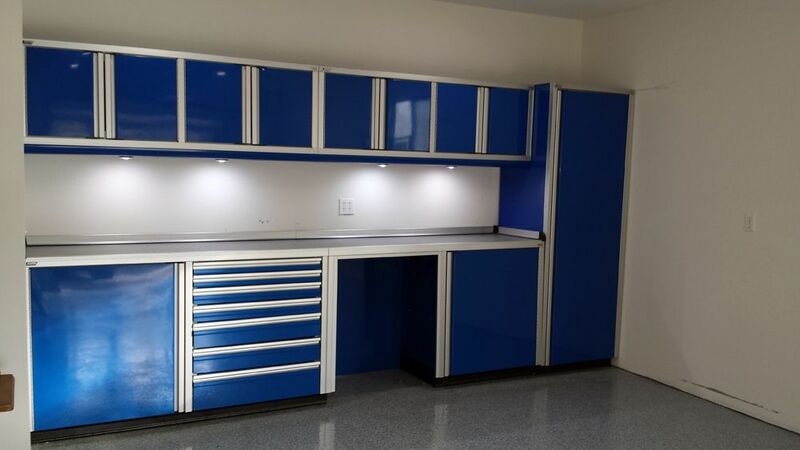 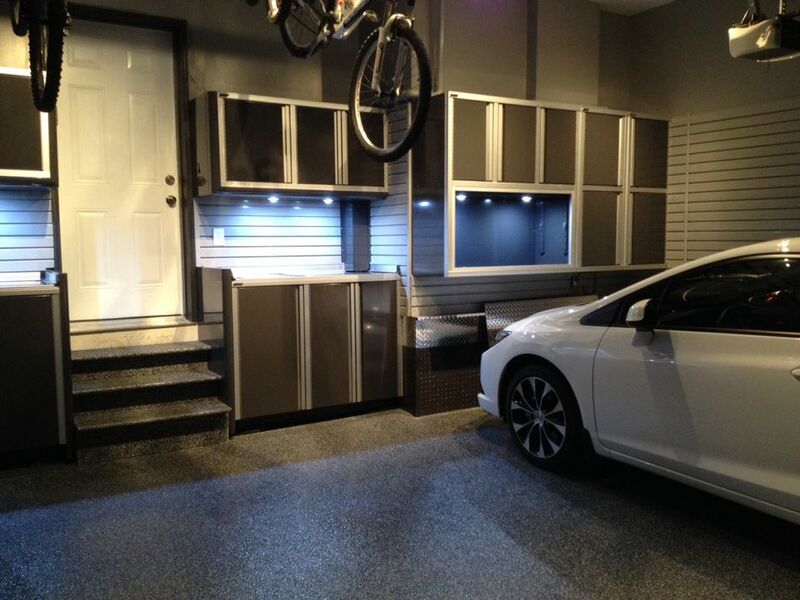 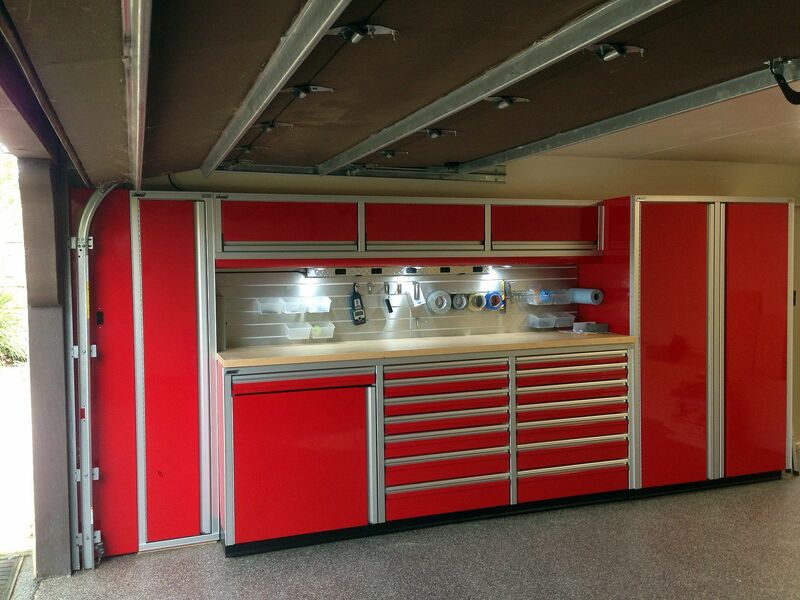 This set of cabinets can cover an entire shop wall with storage and lighting. 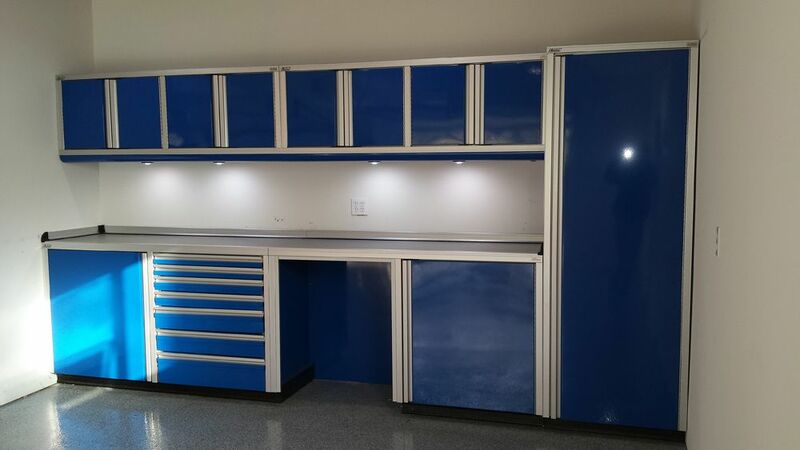 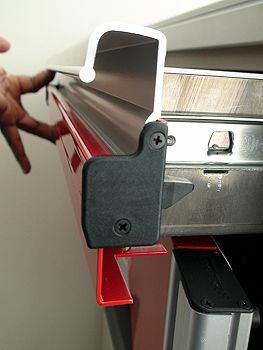 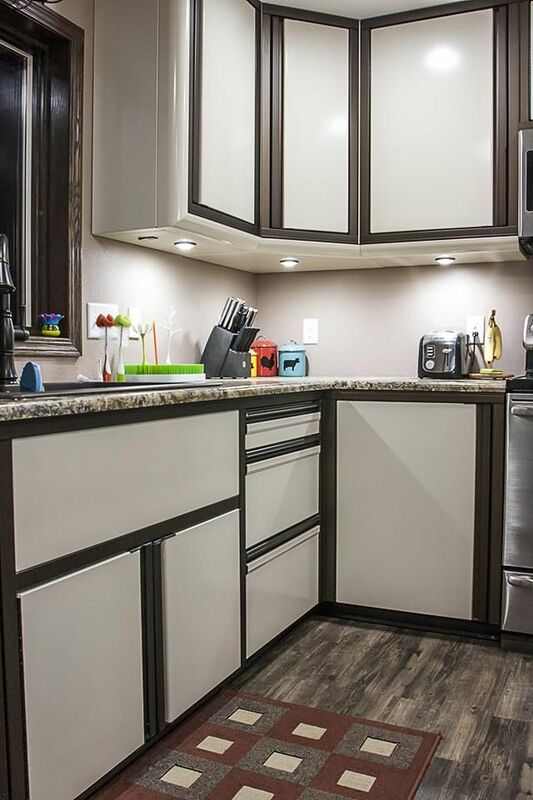 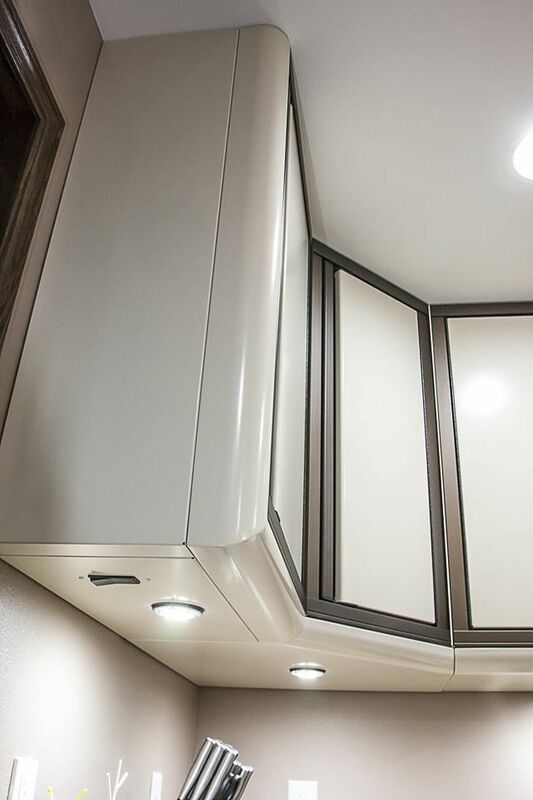 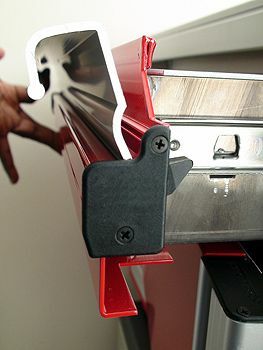 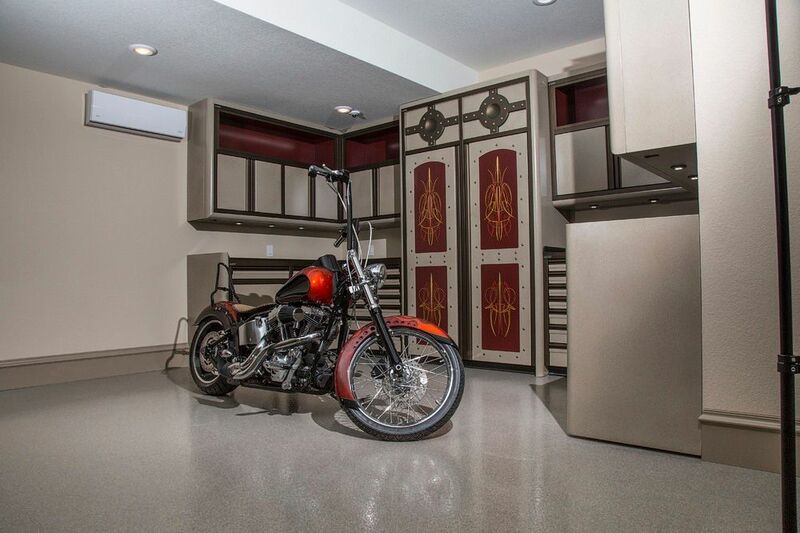 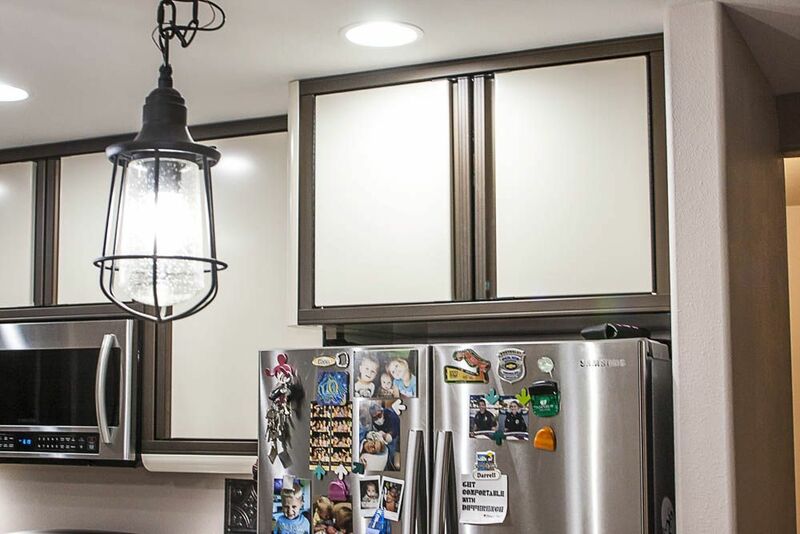 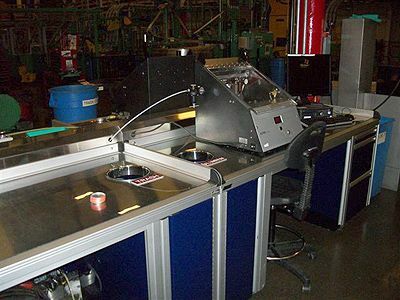 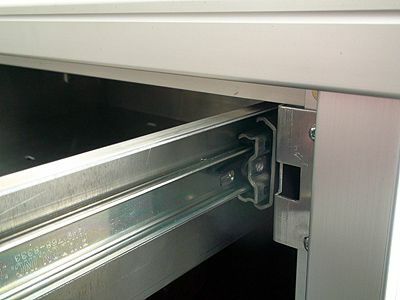 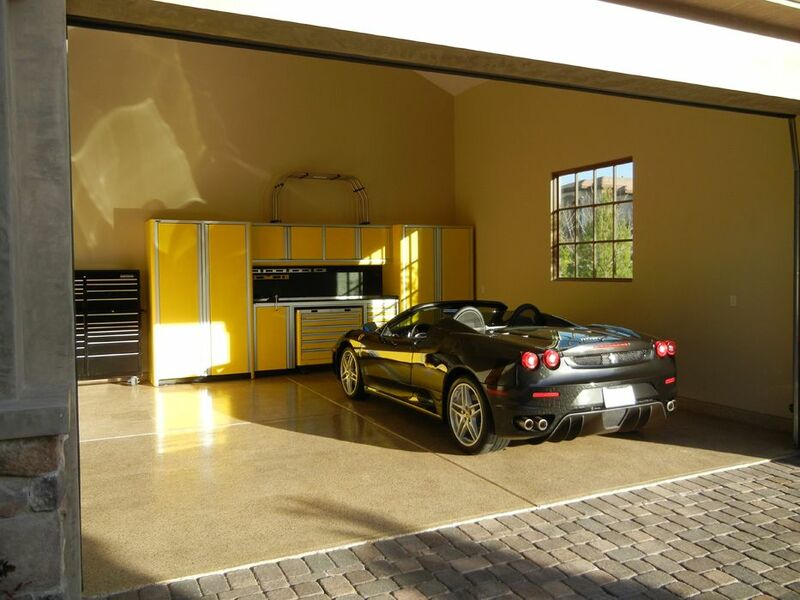 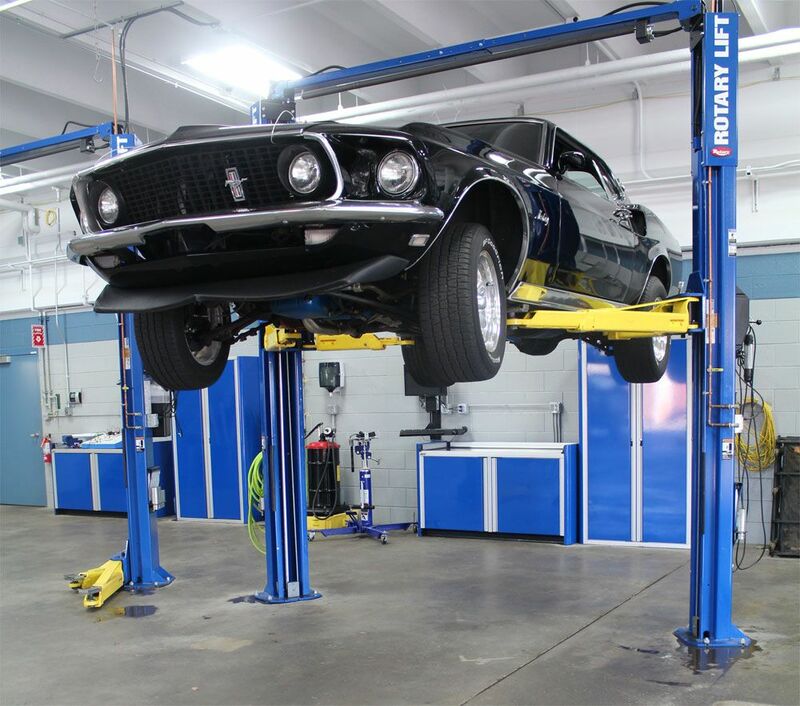 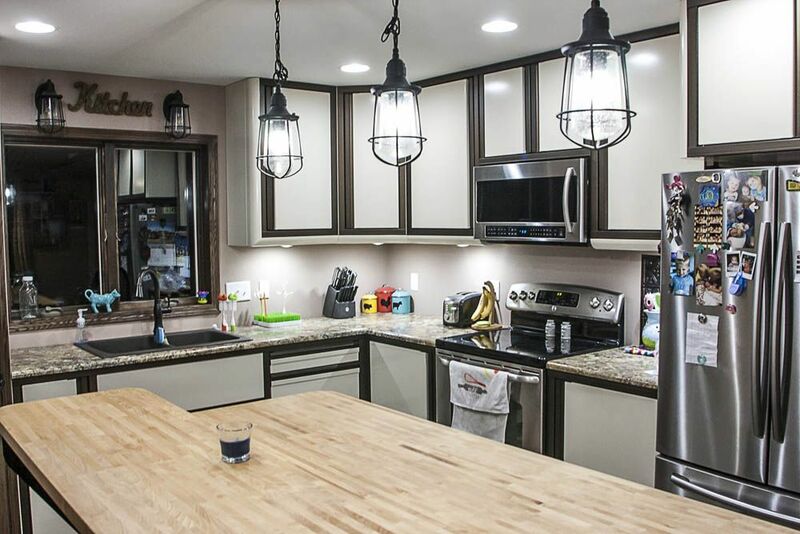 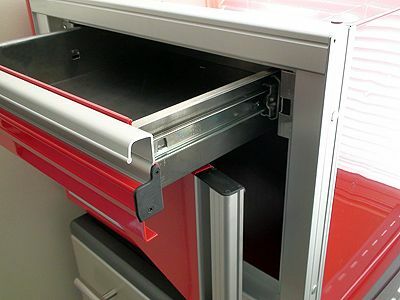 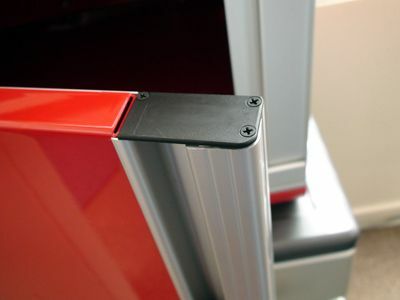 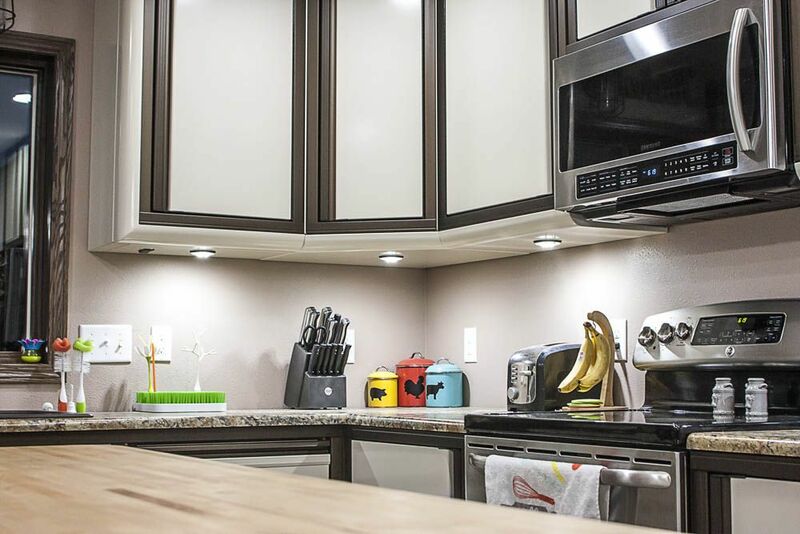 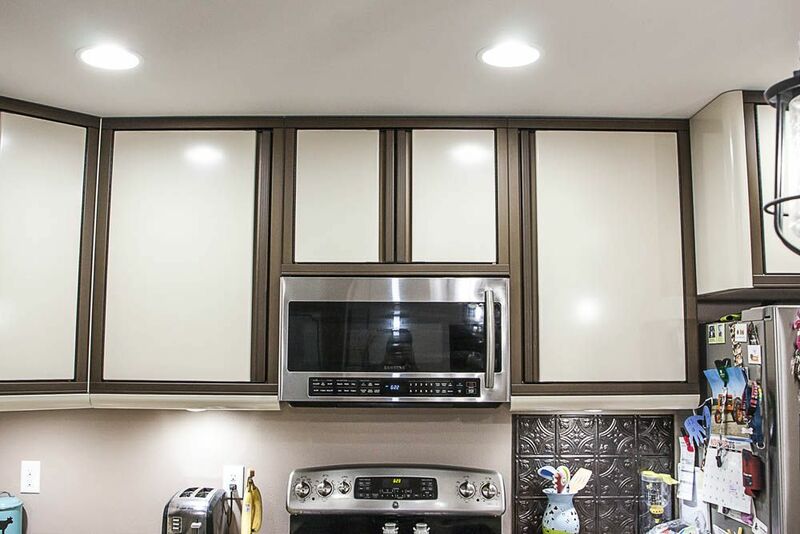 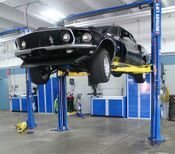 Upper cabinets have LED puck lights installed in their lower radius edge with doors that open upward supported by gas shocks. 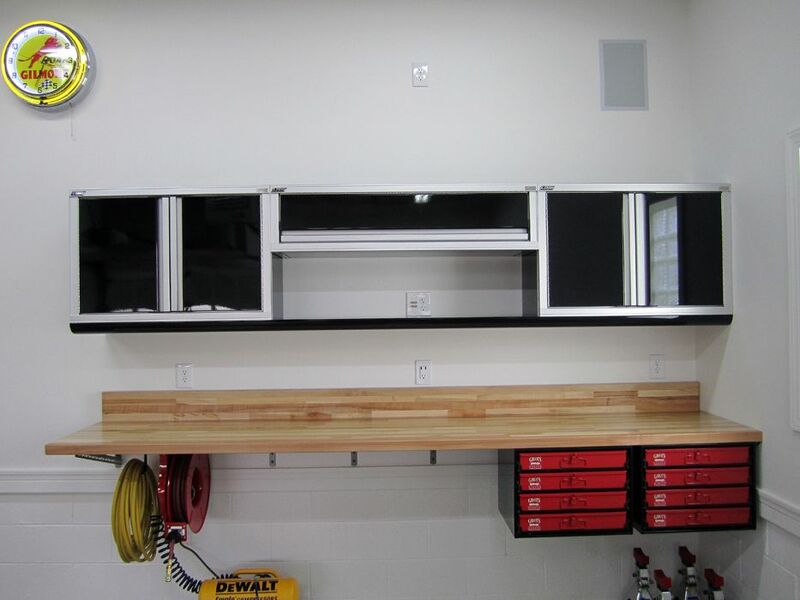 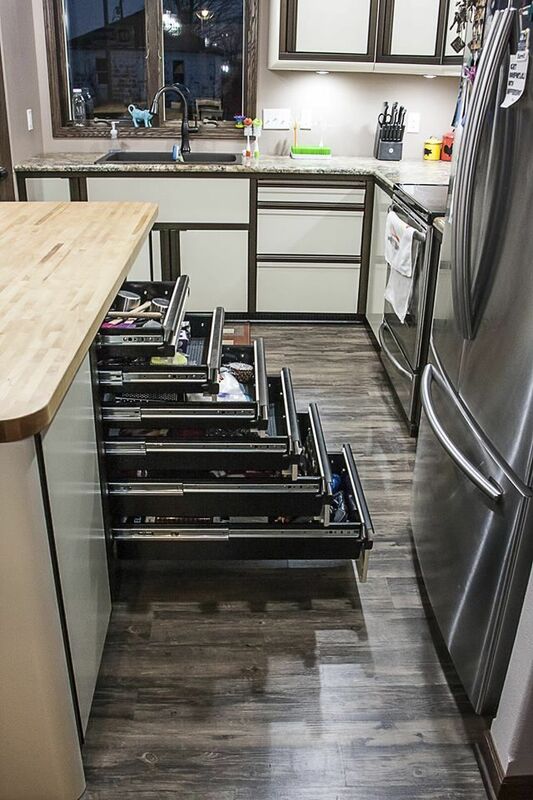 Lower cabinets have a drawer above the cabinet door and inside the lower cabinets is an adjustable shelf. 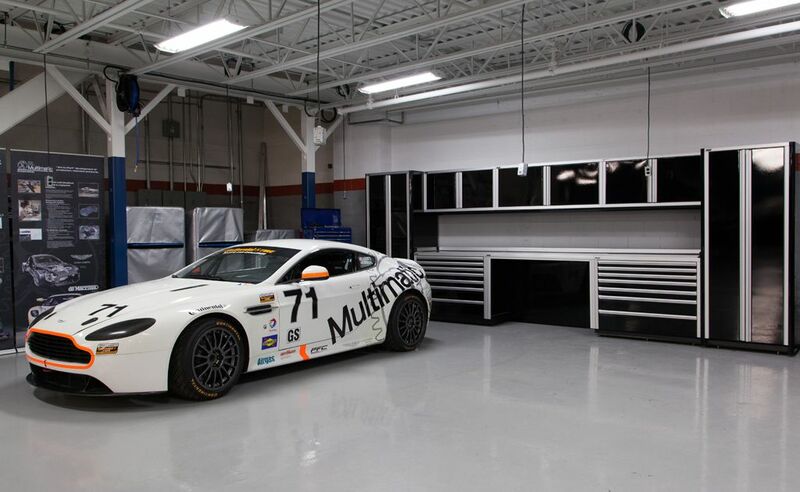 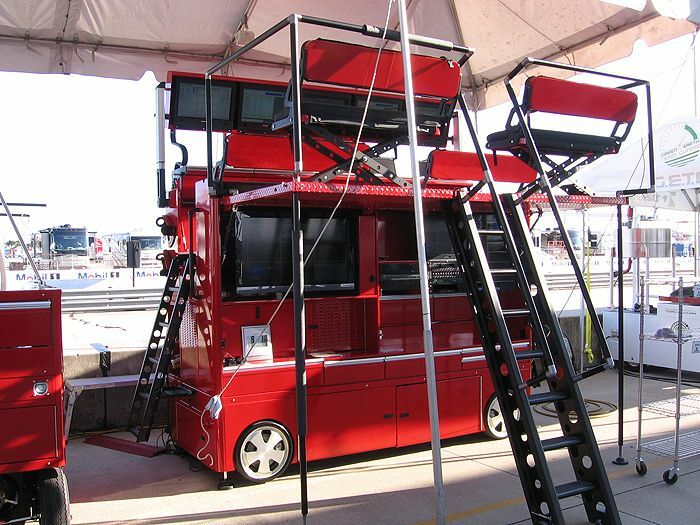 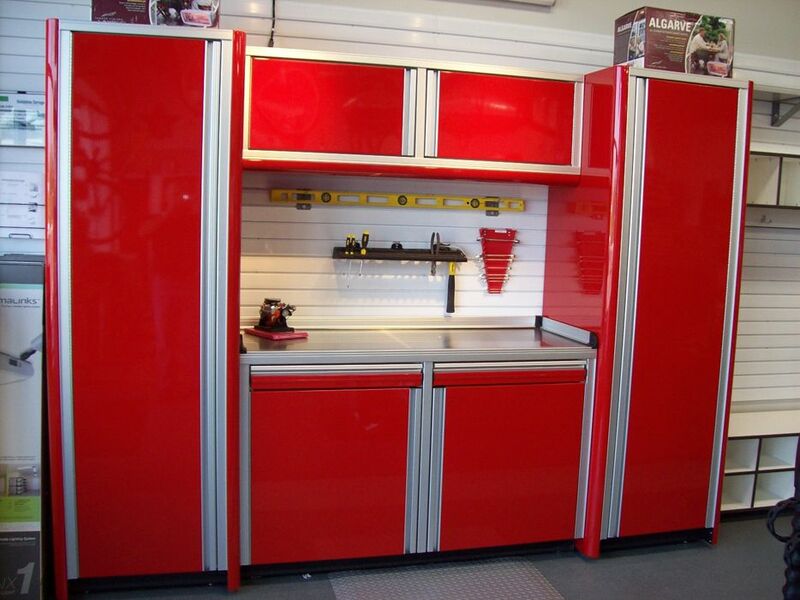 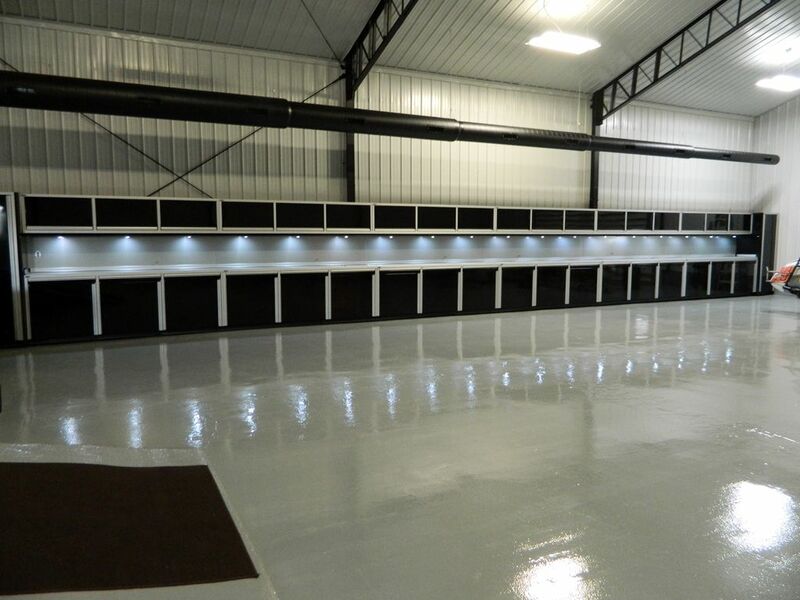 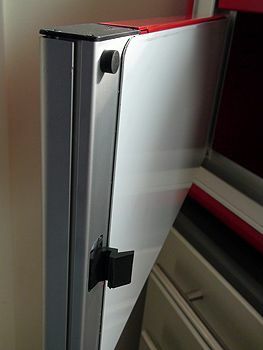 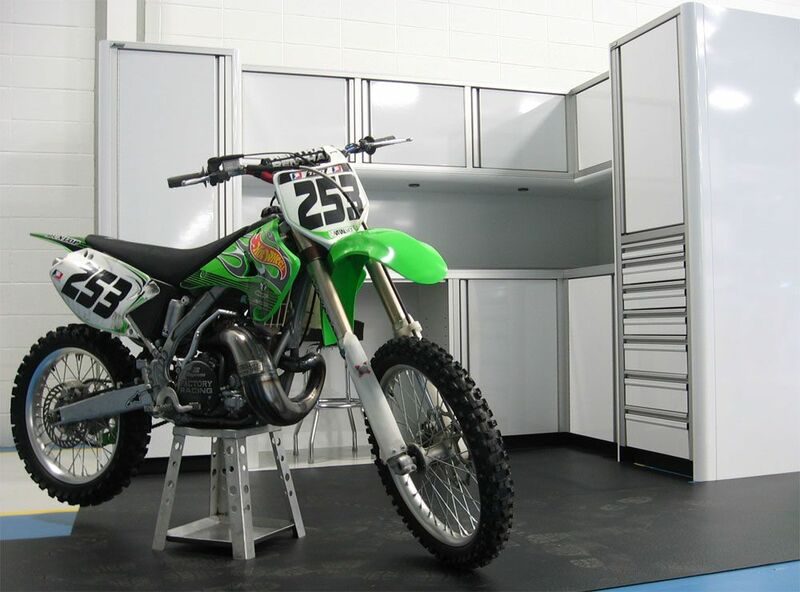 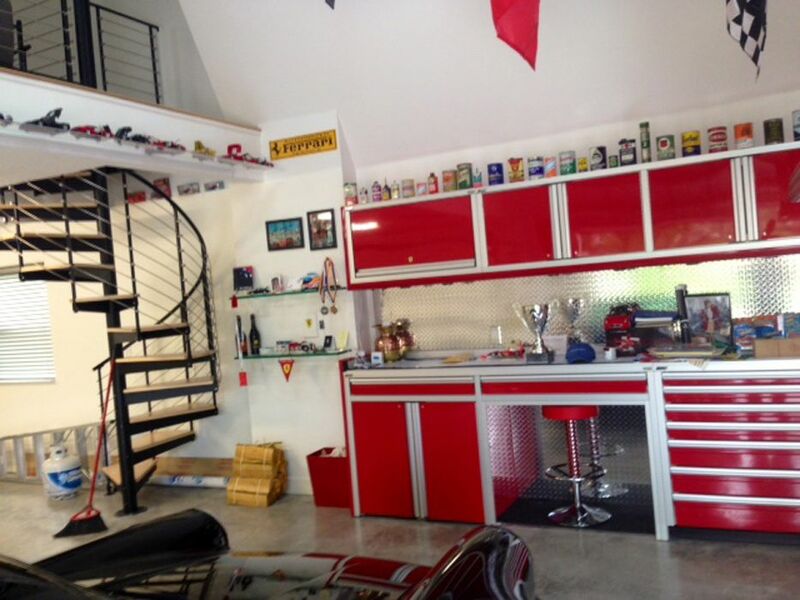 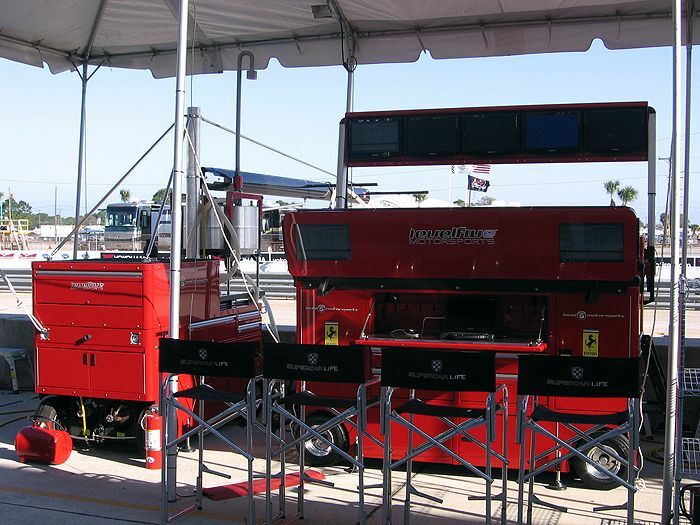 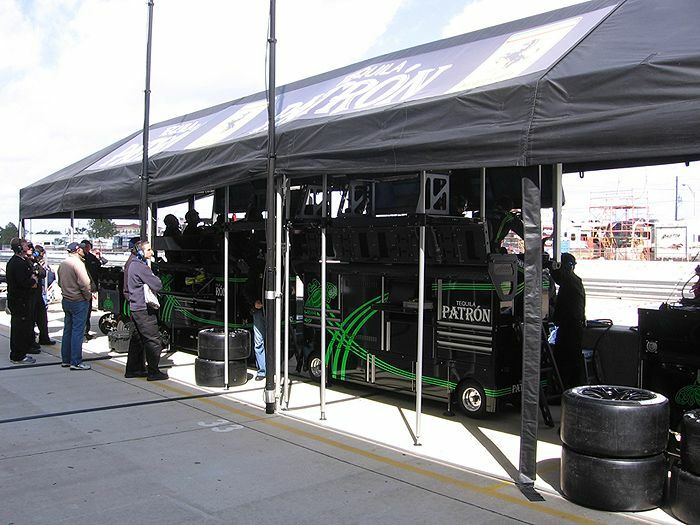 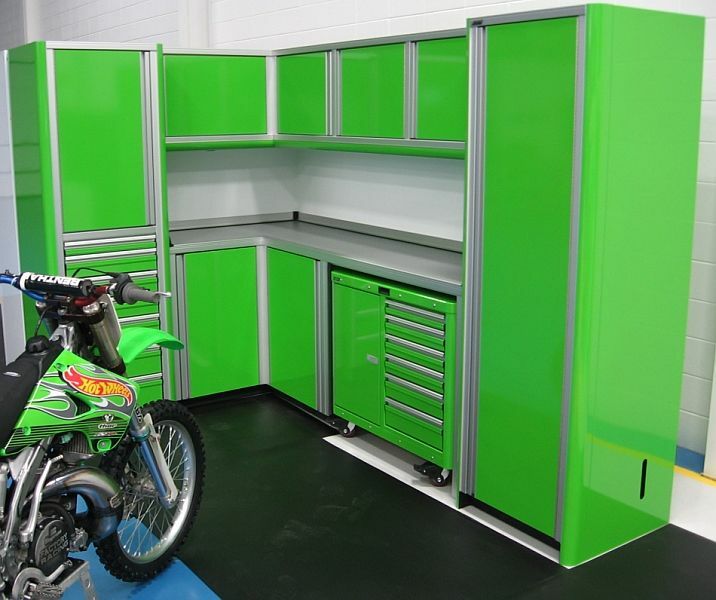 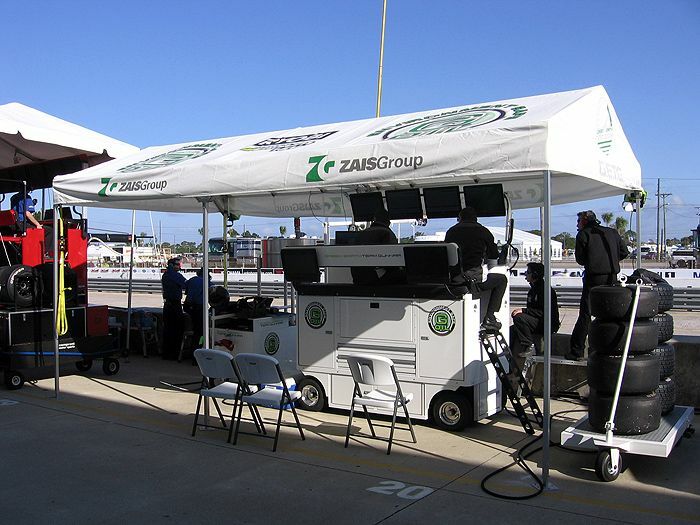 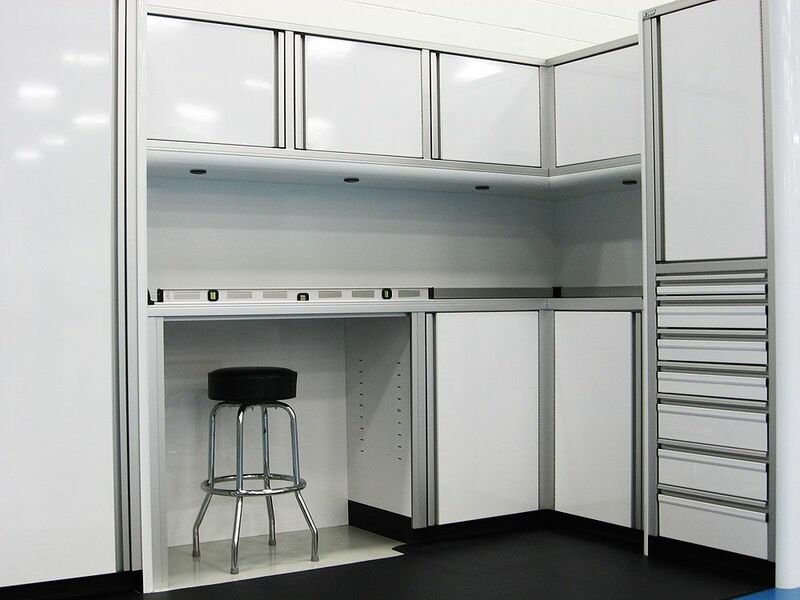 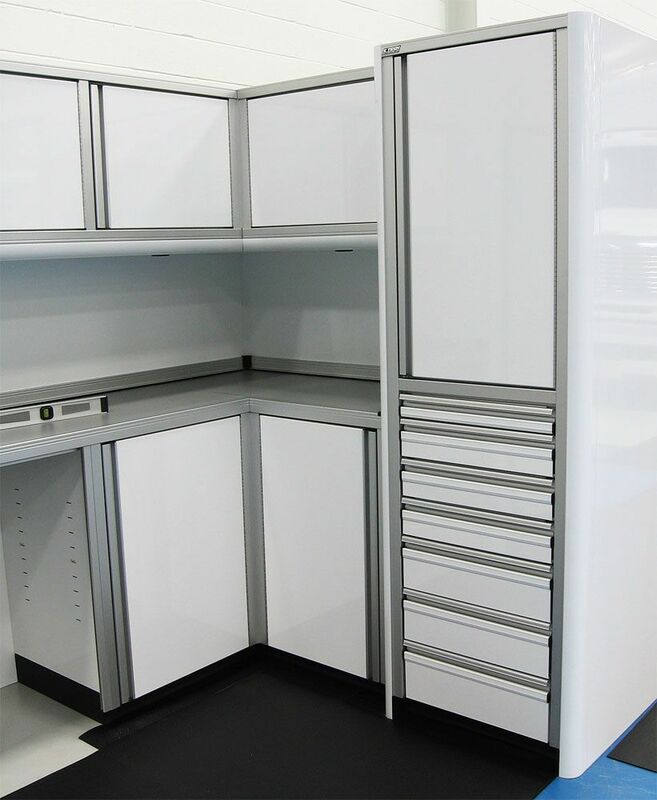 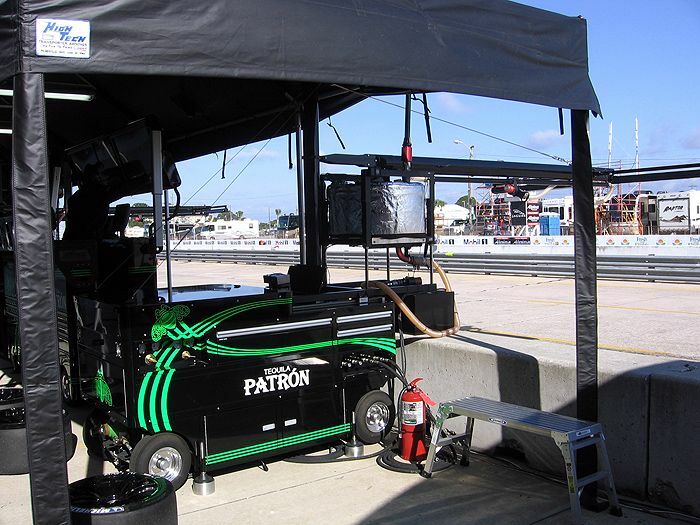 The locker cabinets on the ends have 3 adjustable shelves along with a hanger bar for race suits, jackets, or shirts. 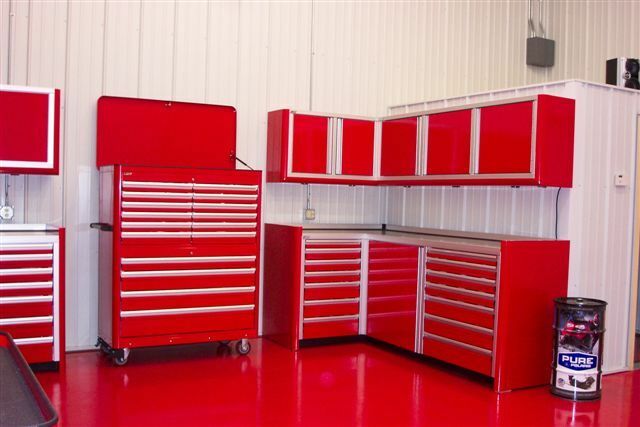 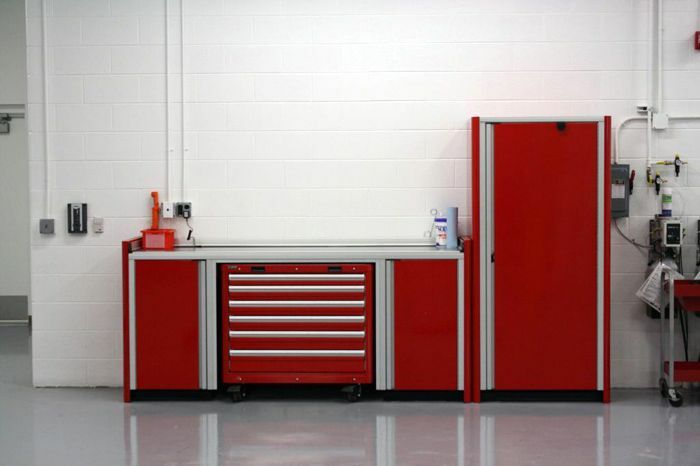 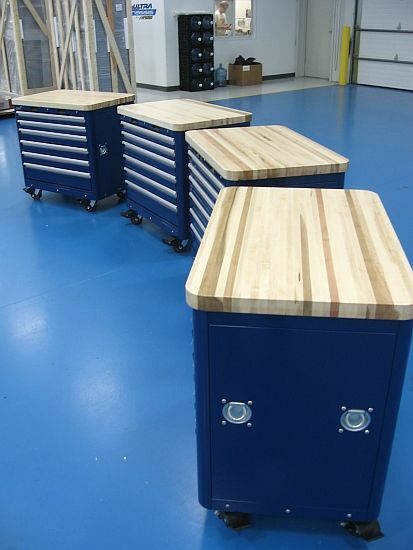 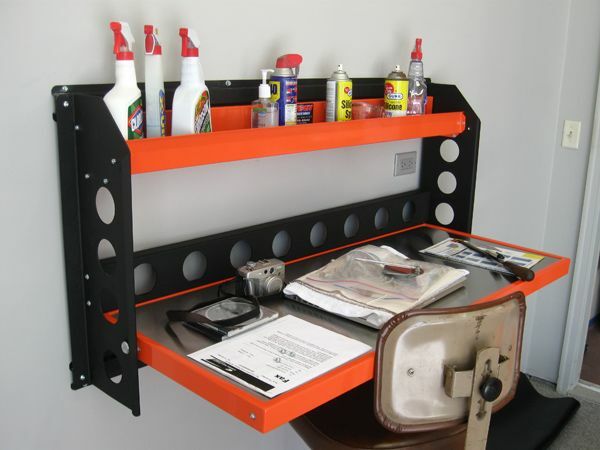 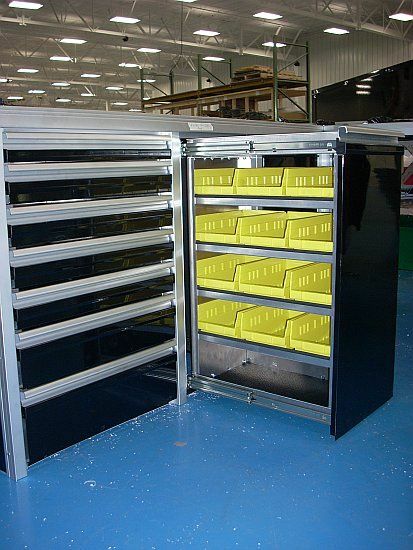 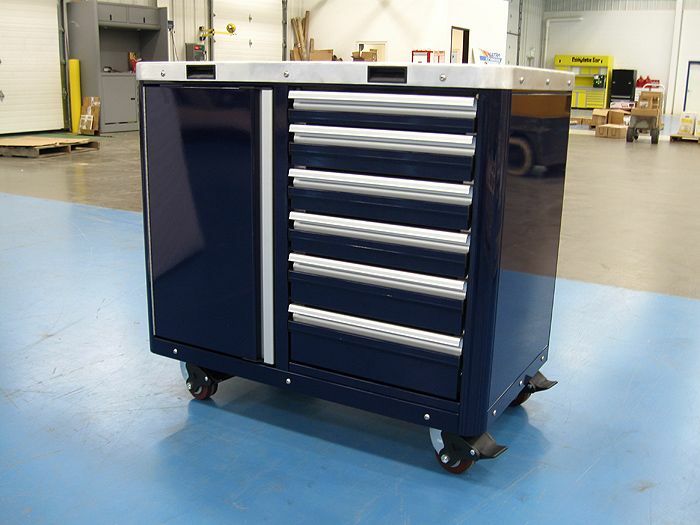 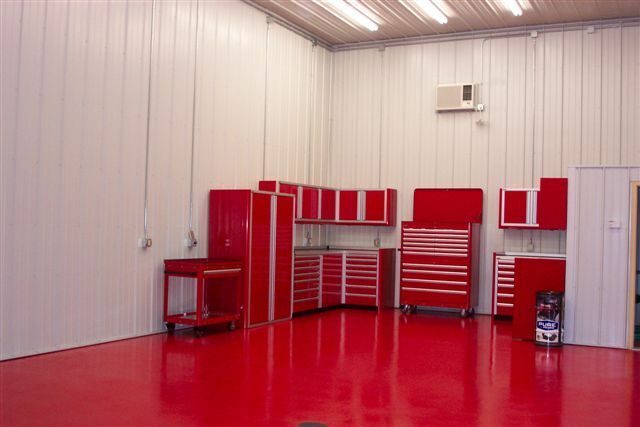 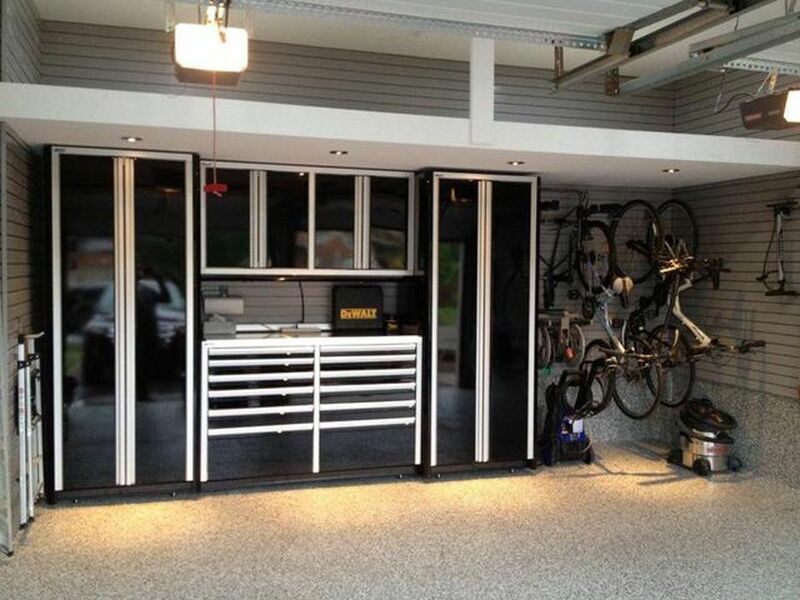 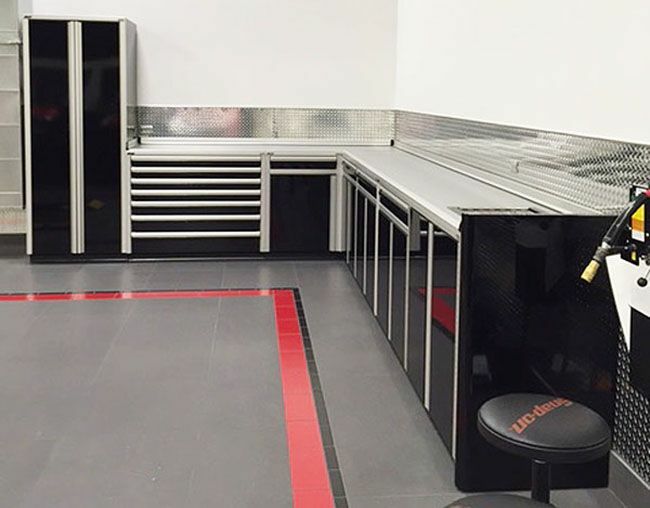 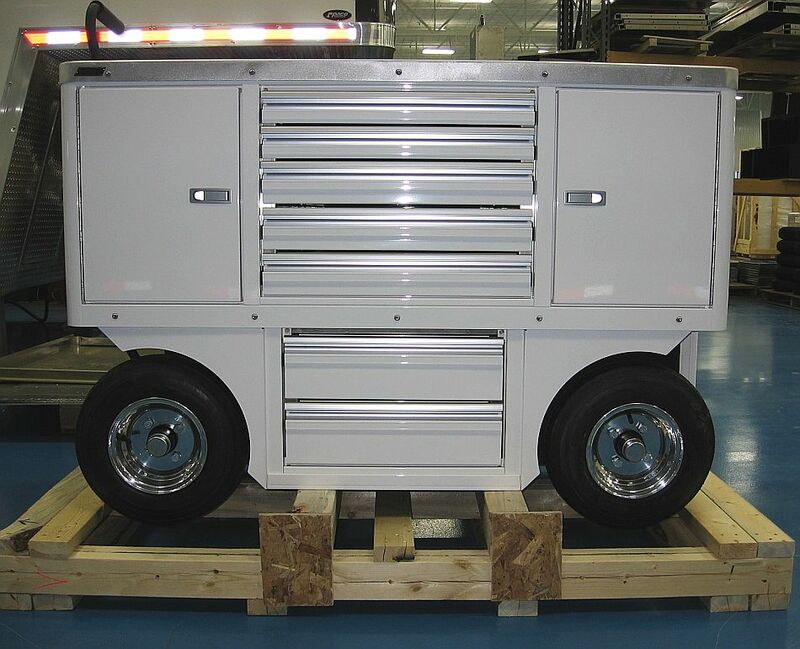 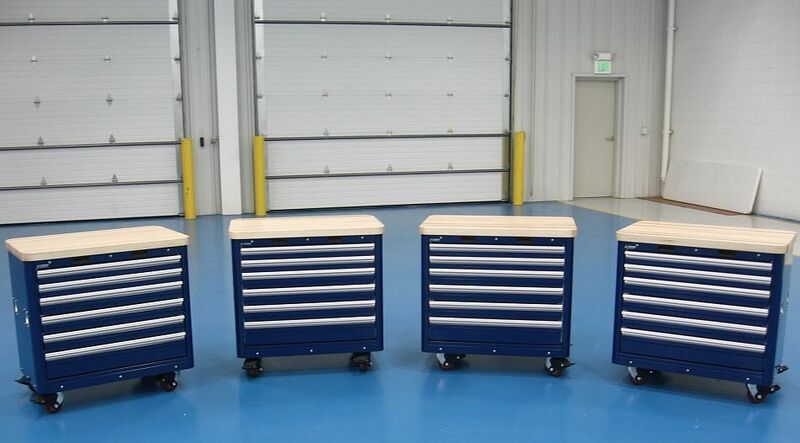 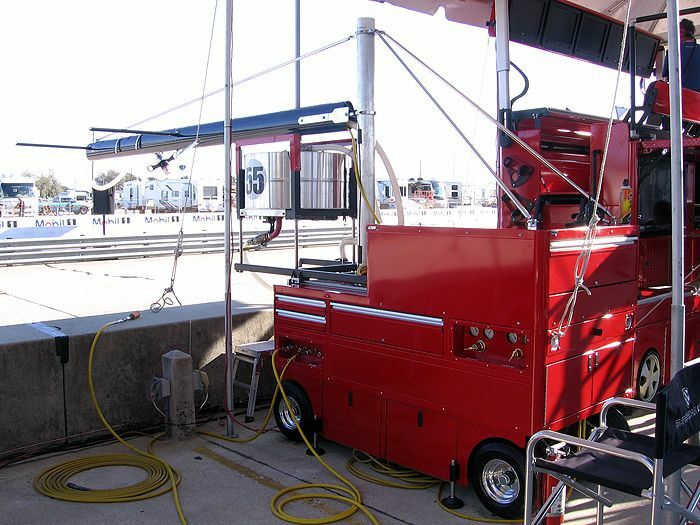 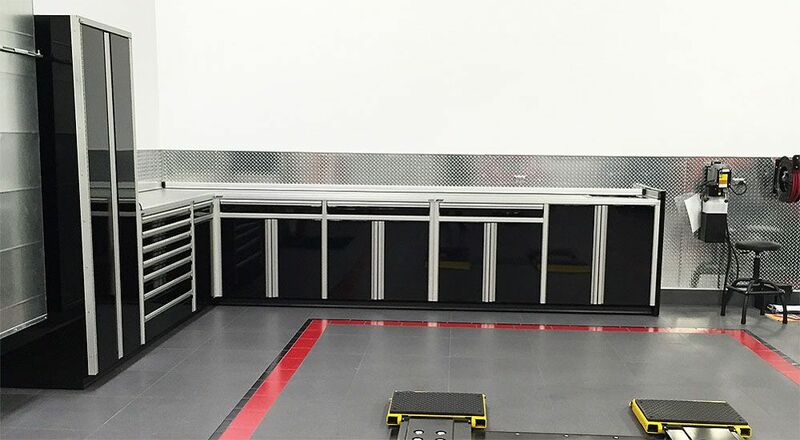 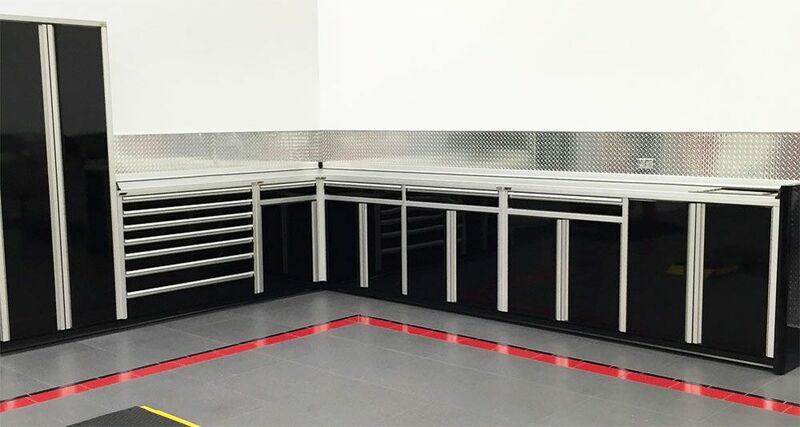 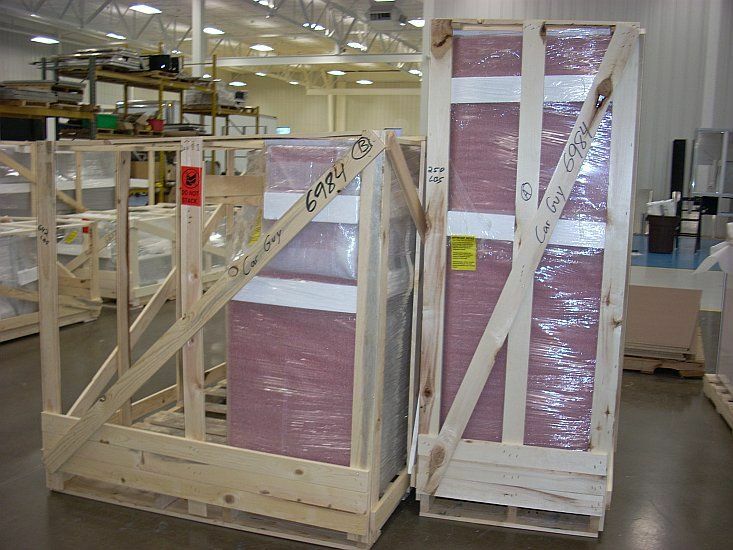 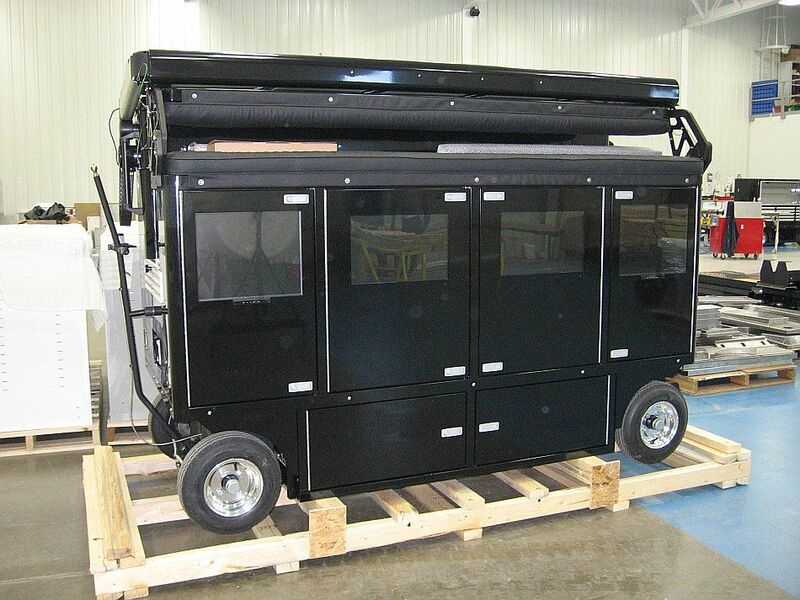 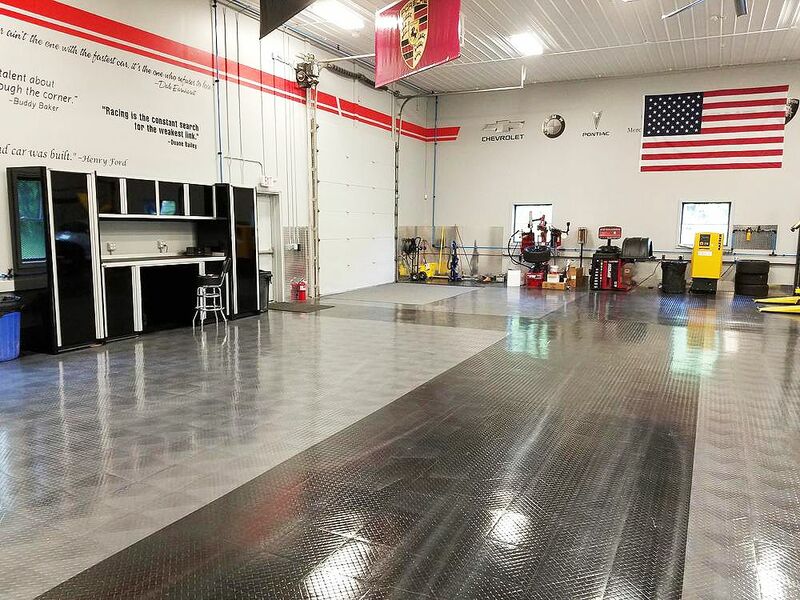 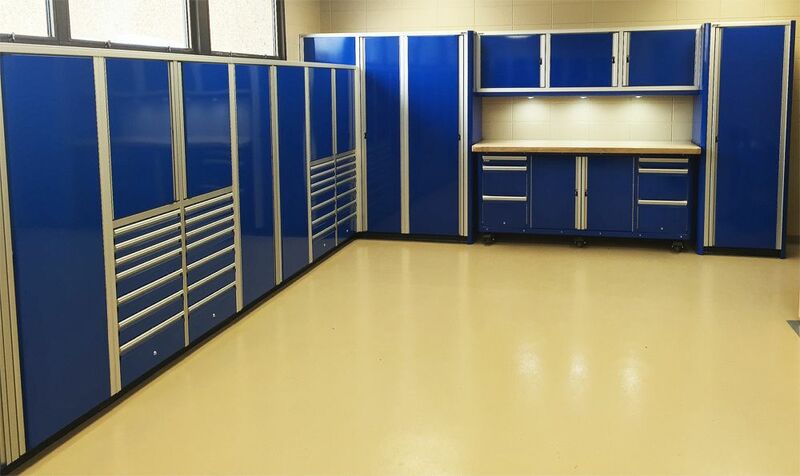 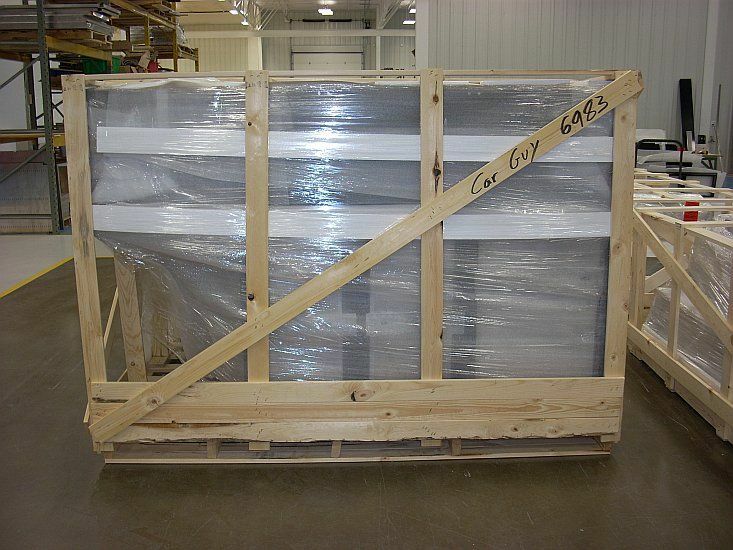 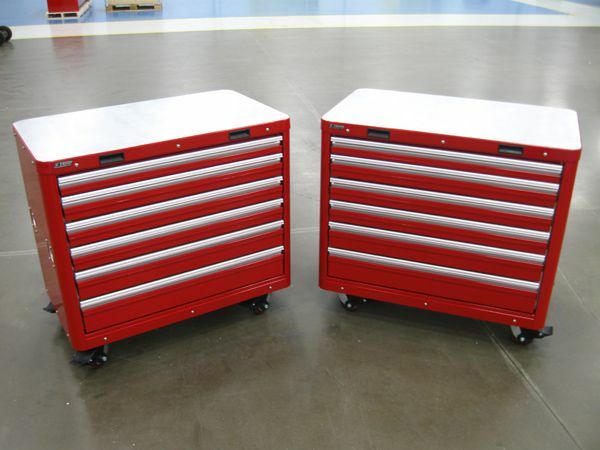 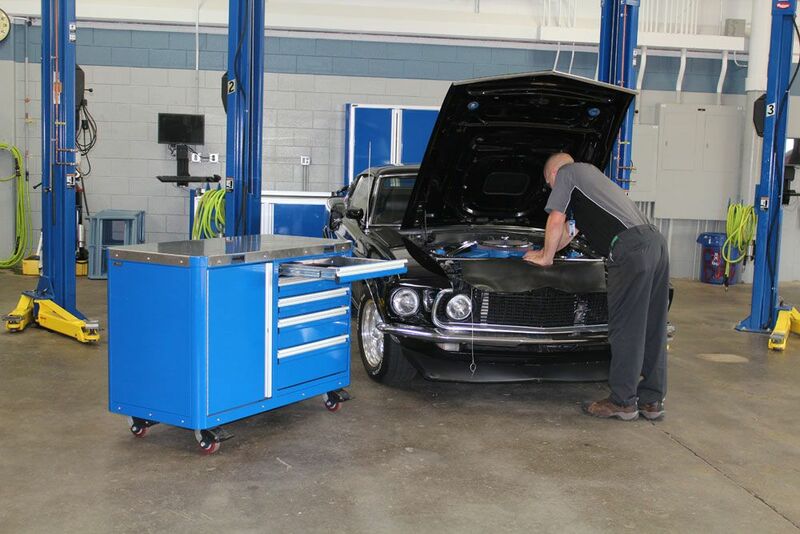 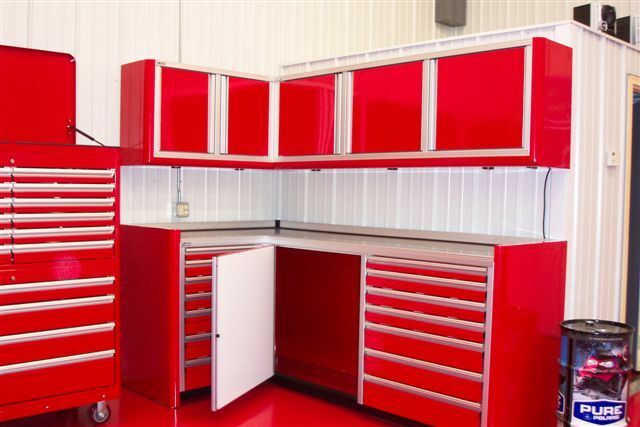 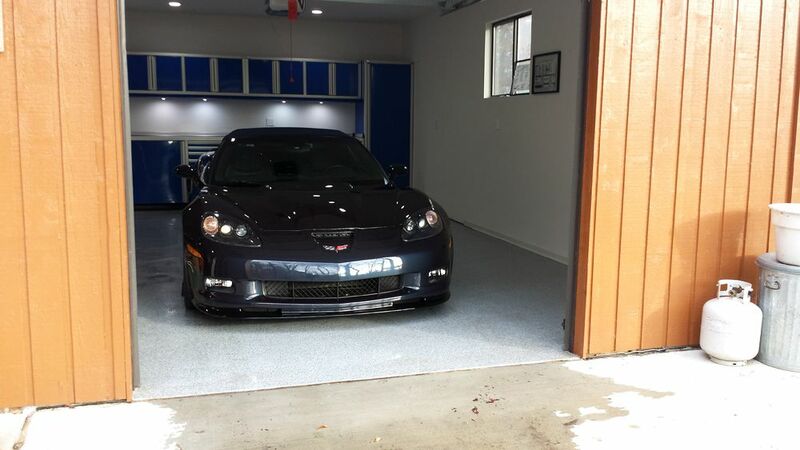 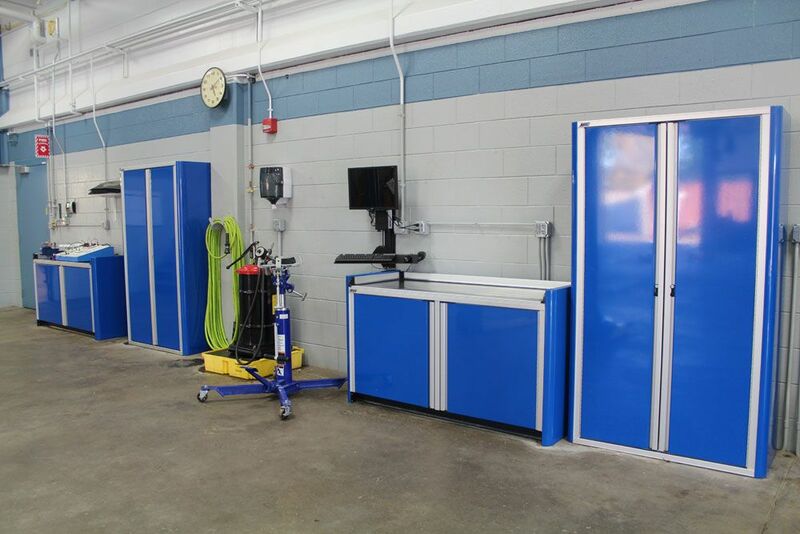 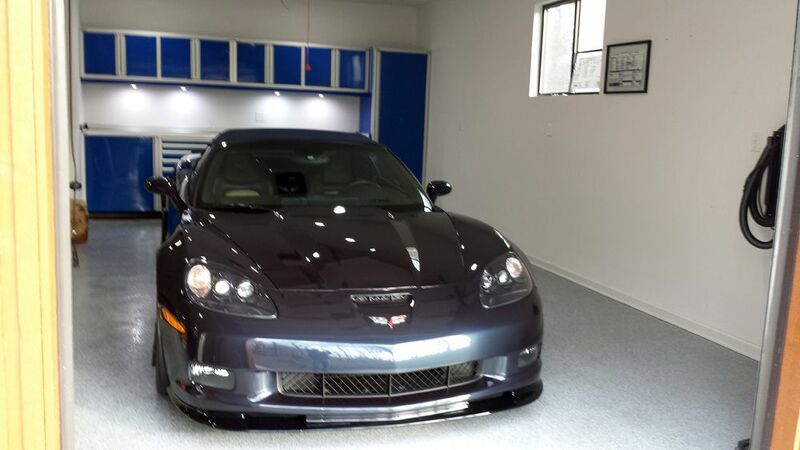 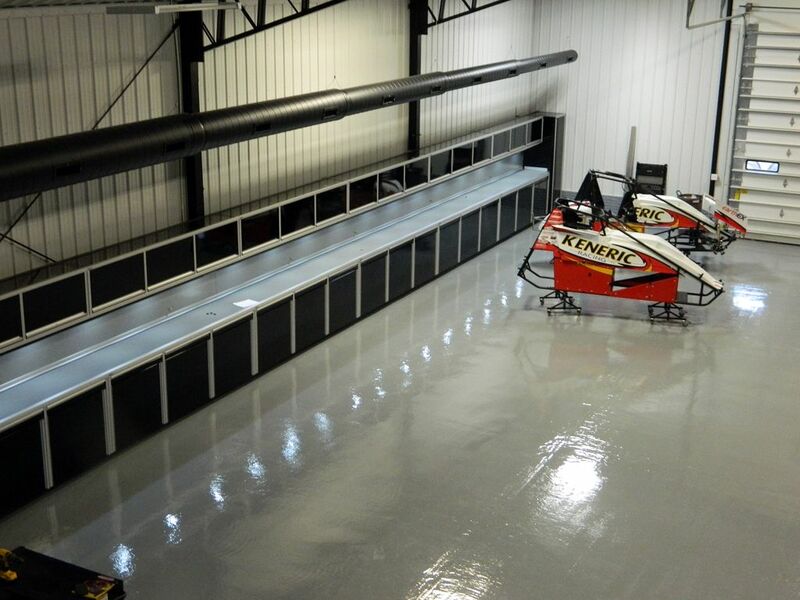 If your shop could use a storage system like this, but you would like different dimentions or options give us a call at 800-736-9308 and let us put a quote together for you.